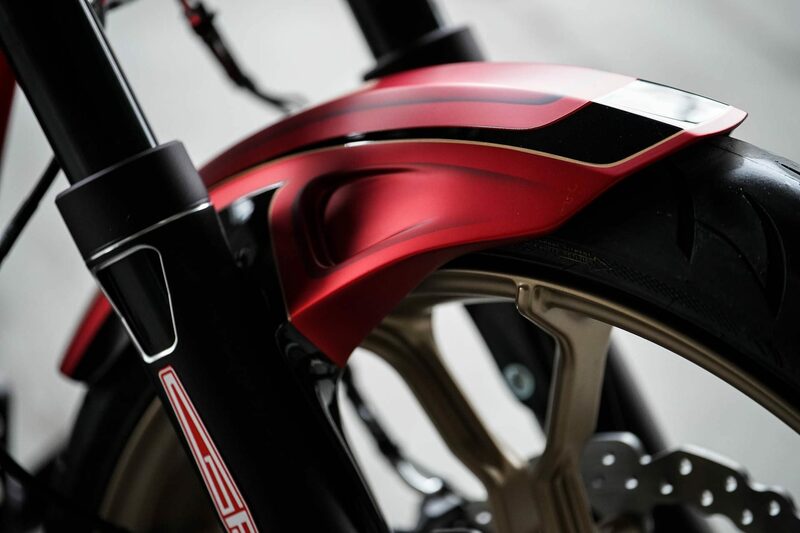 Only in August this year our Silverstone project was completed and presented in Faak. 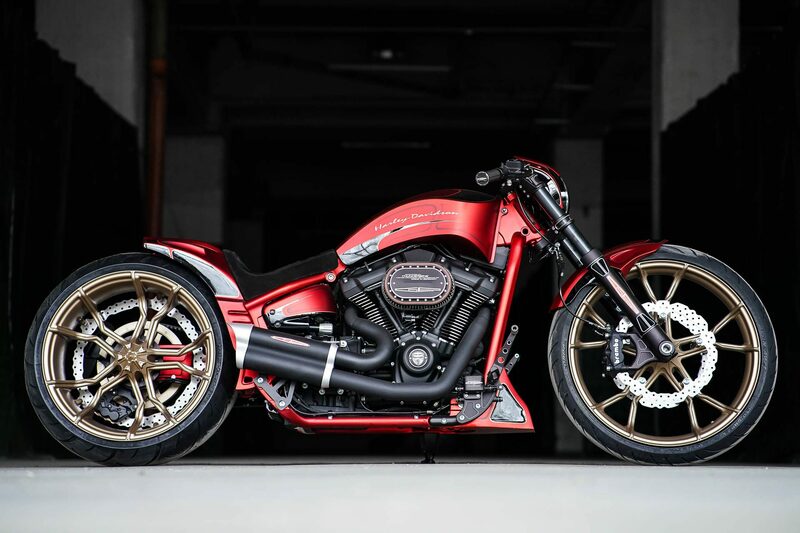 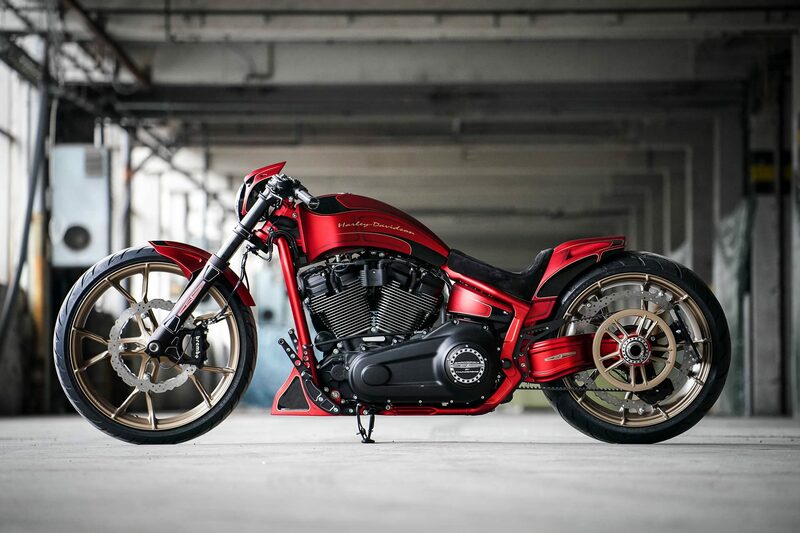 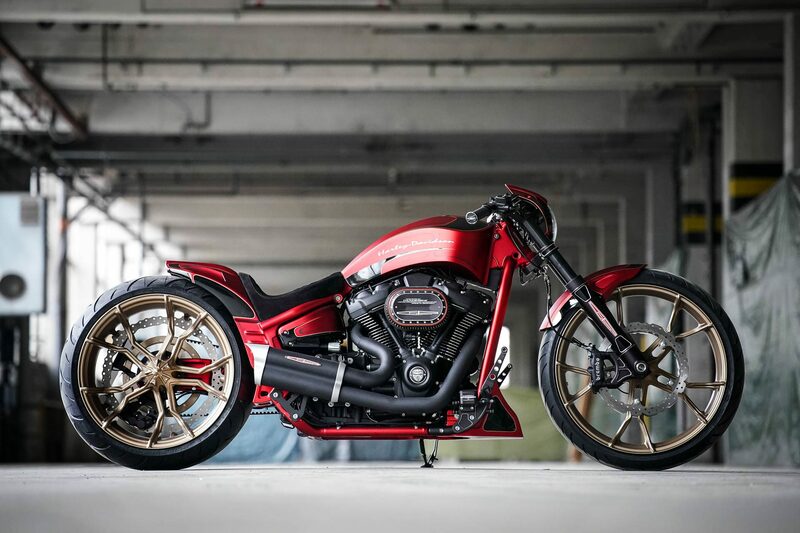 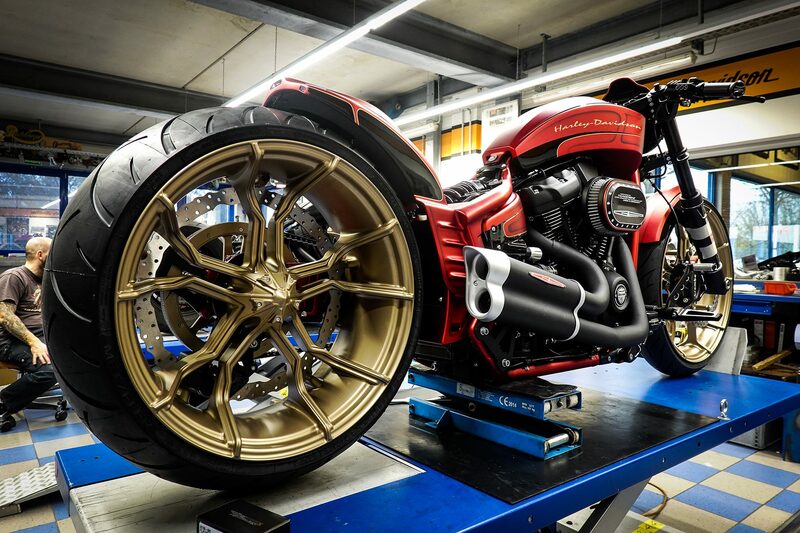 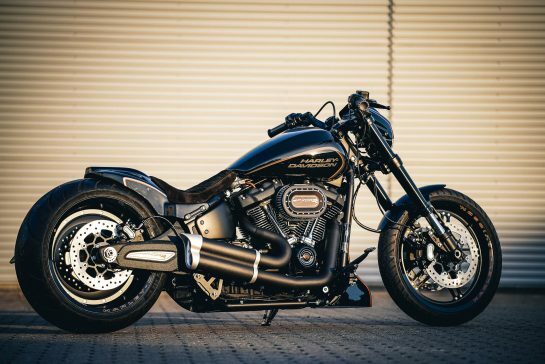 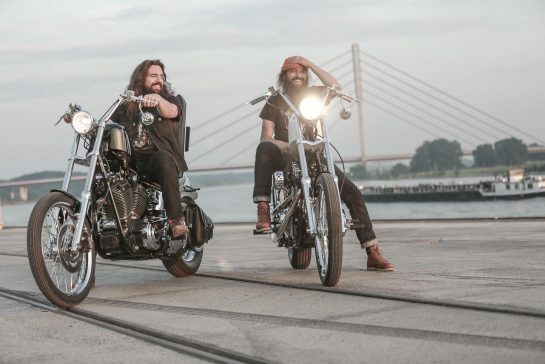 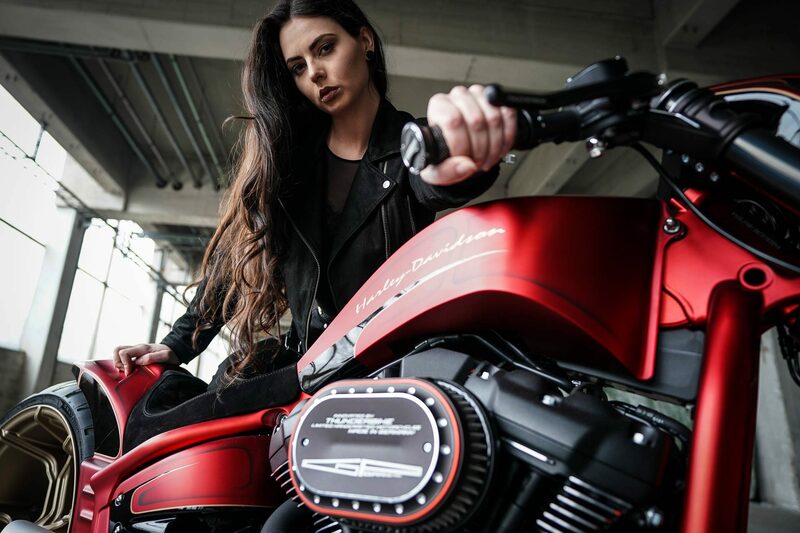 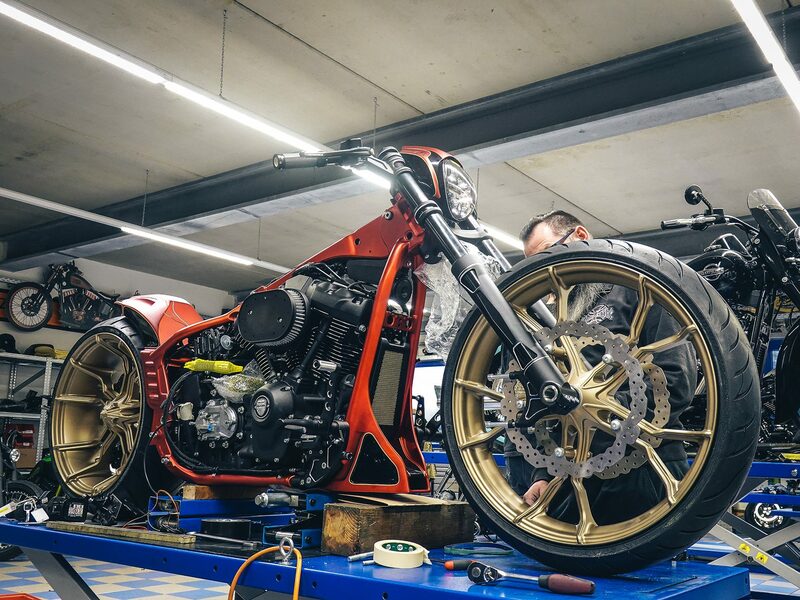 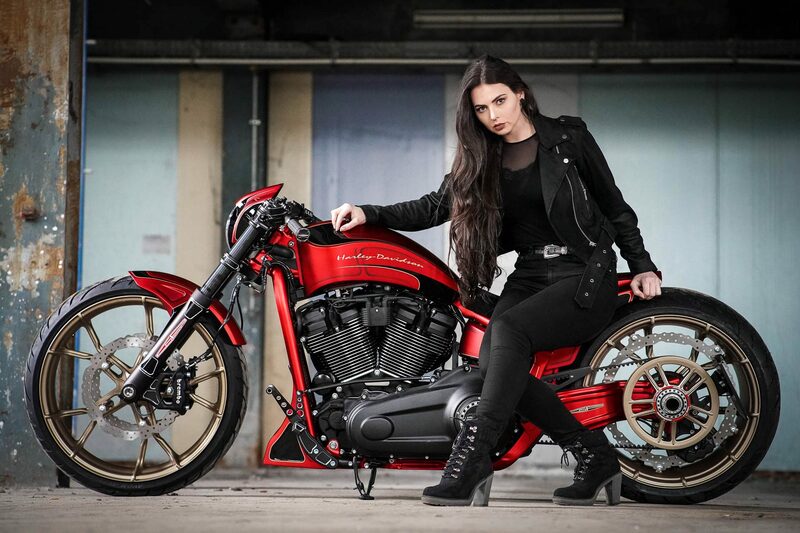 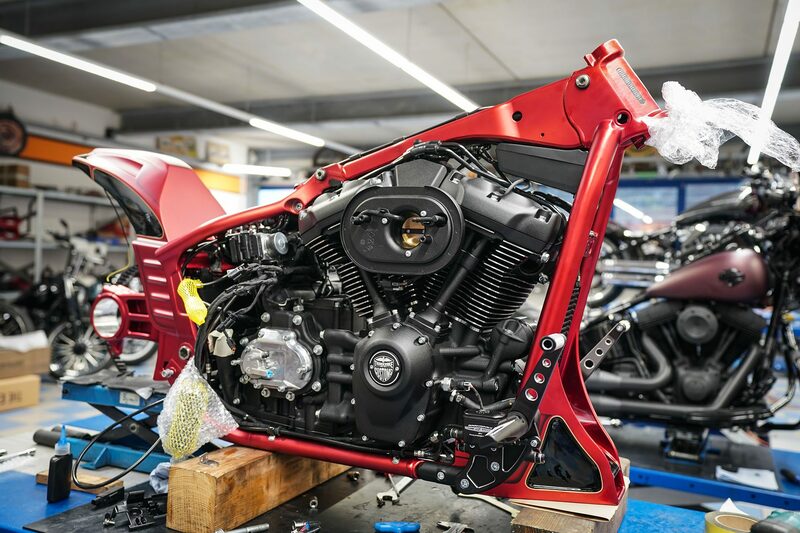 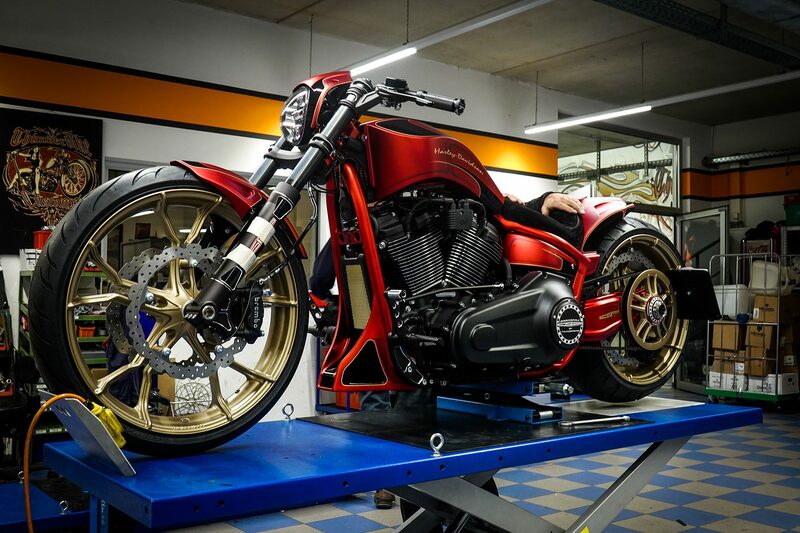 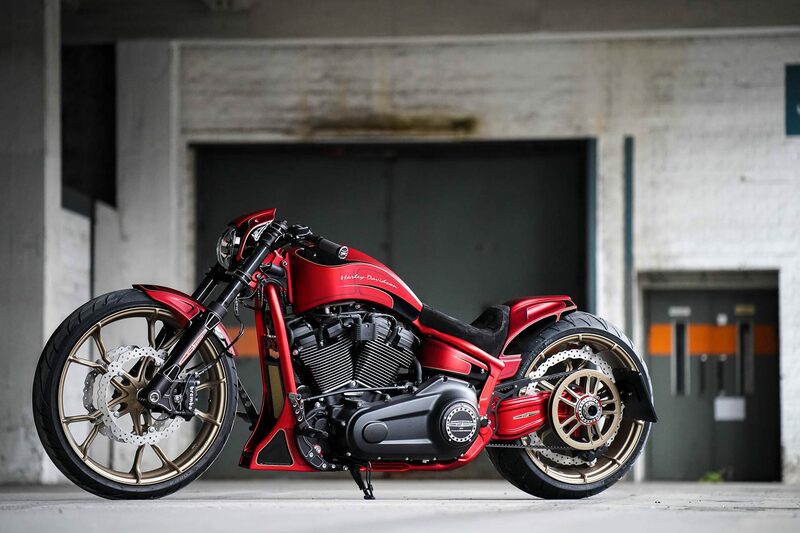 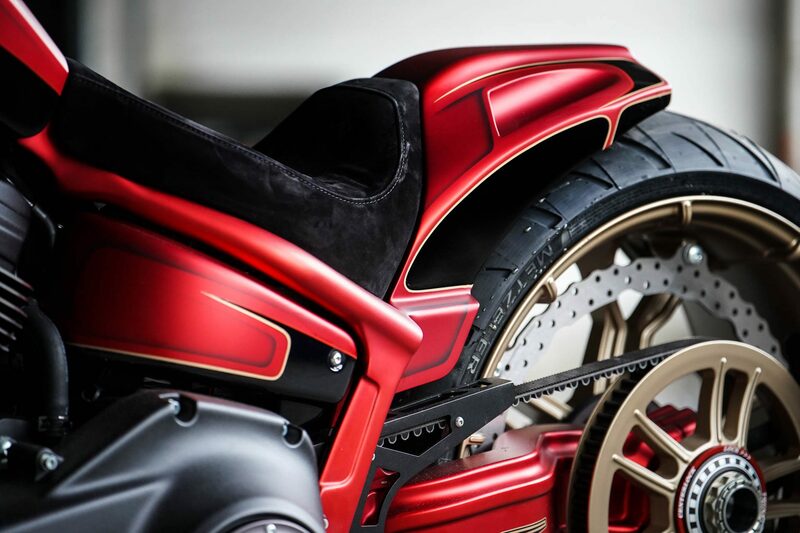 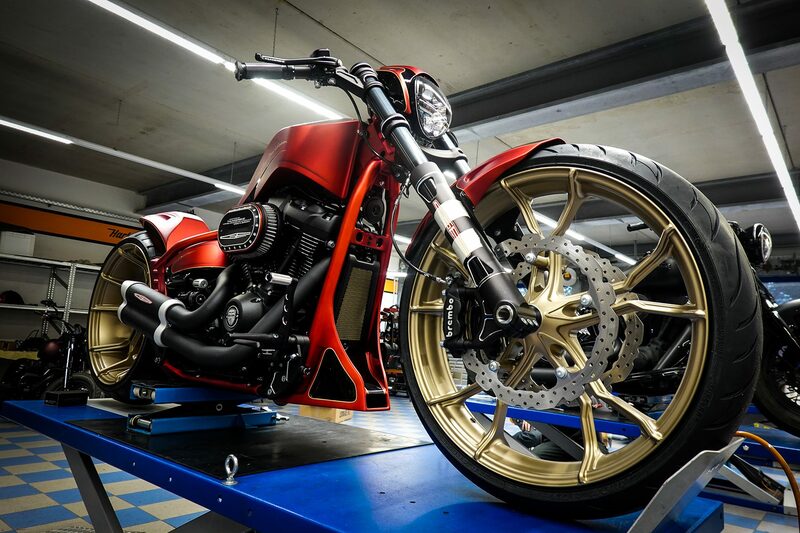 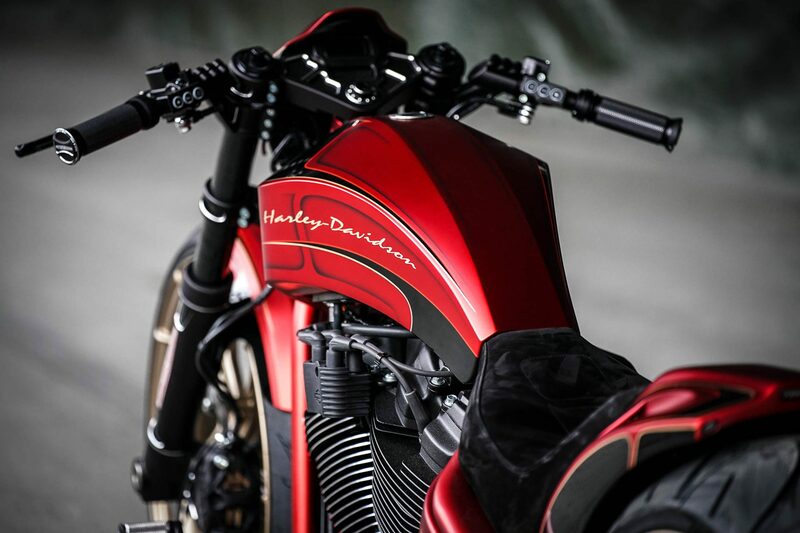 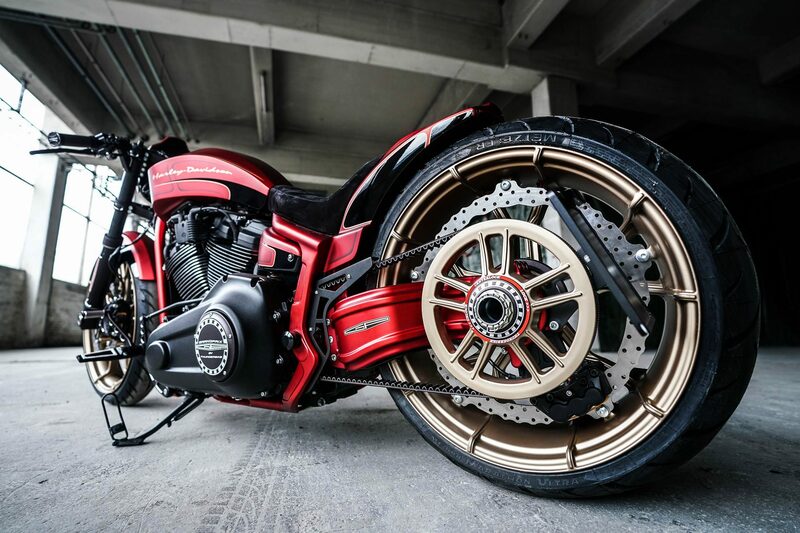 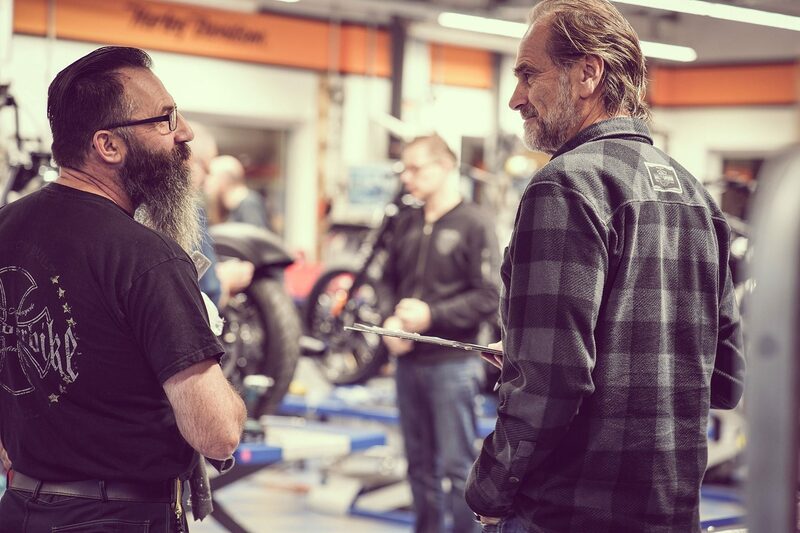 Already at that time the next star was in the starting blocks to be presented at the Custombike fair in Bad Salzuflen. 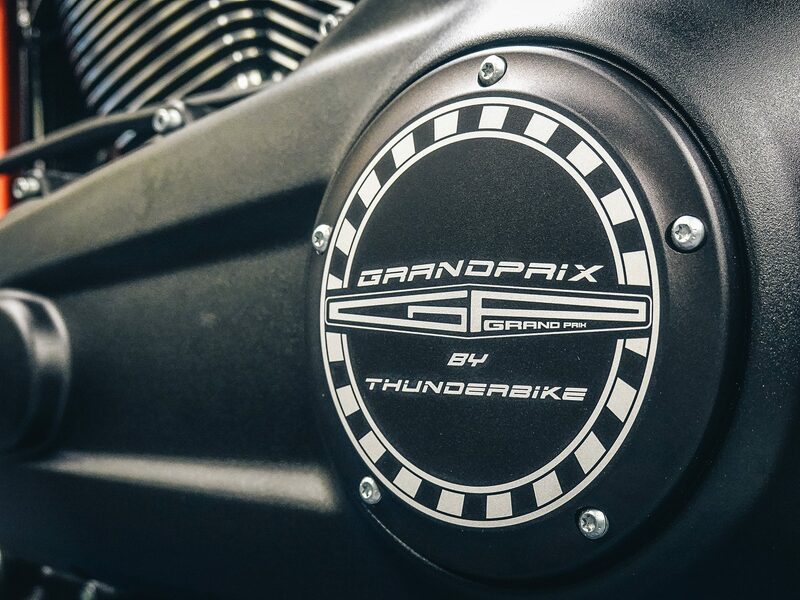 Who has followed our GP series knows that this series is named after well-known Grand Prix race tracks. 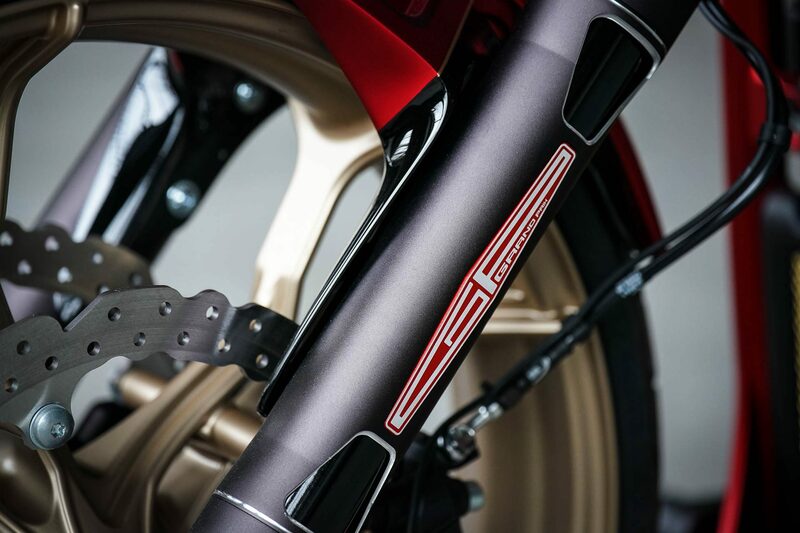 So also in this case: The Laguna Seca was developed on a customer request and will extend our GP series by the 8th bike. 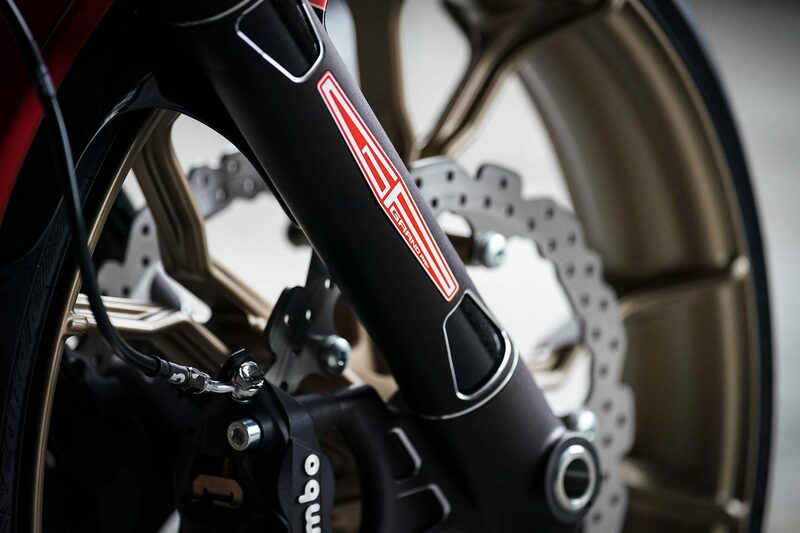 To the race track: The Laguna Seca race track is the most important race track of the USA and is located between the two cities Monterey and Salinas. 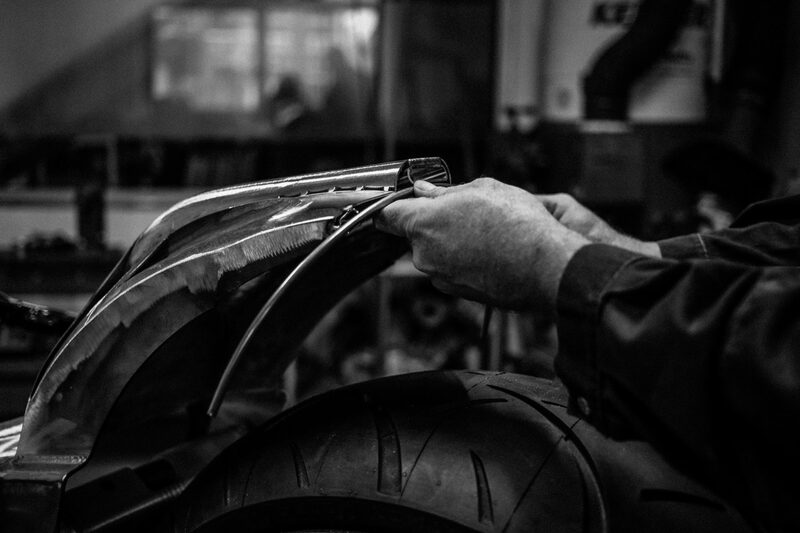 One lap measures 3,601 metres and offers 11 curves, including the famous Corkscrew curve. 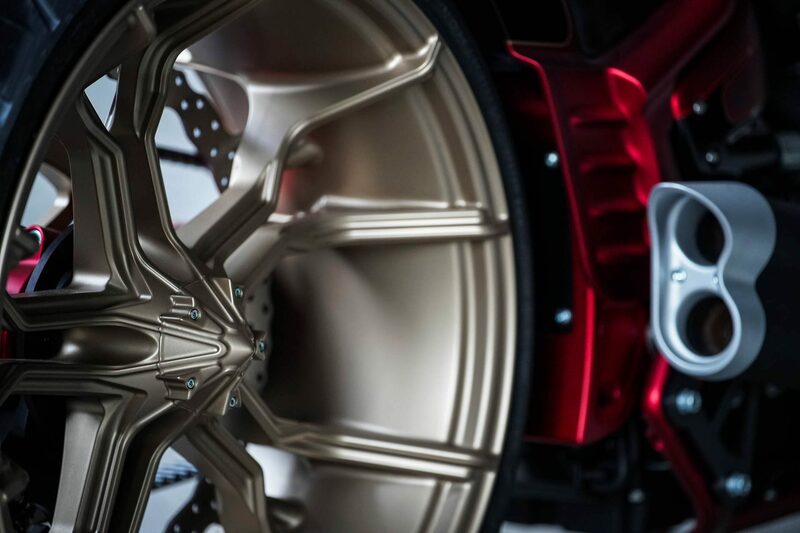 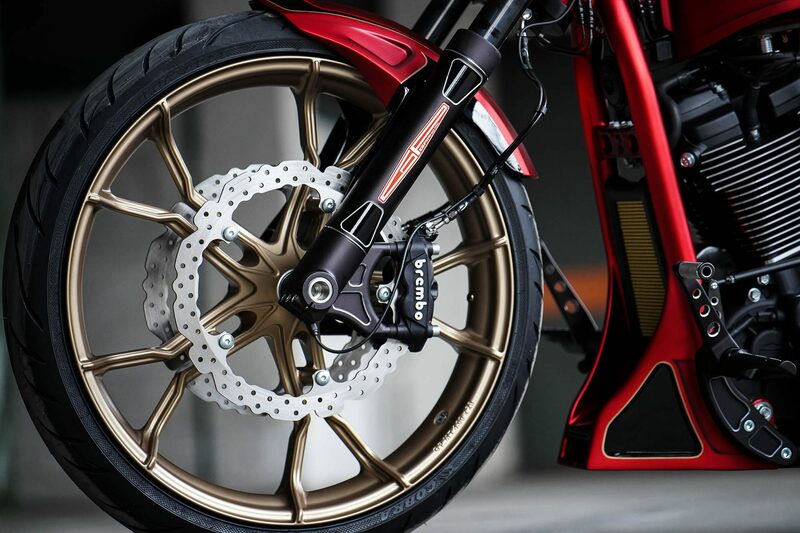 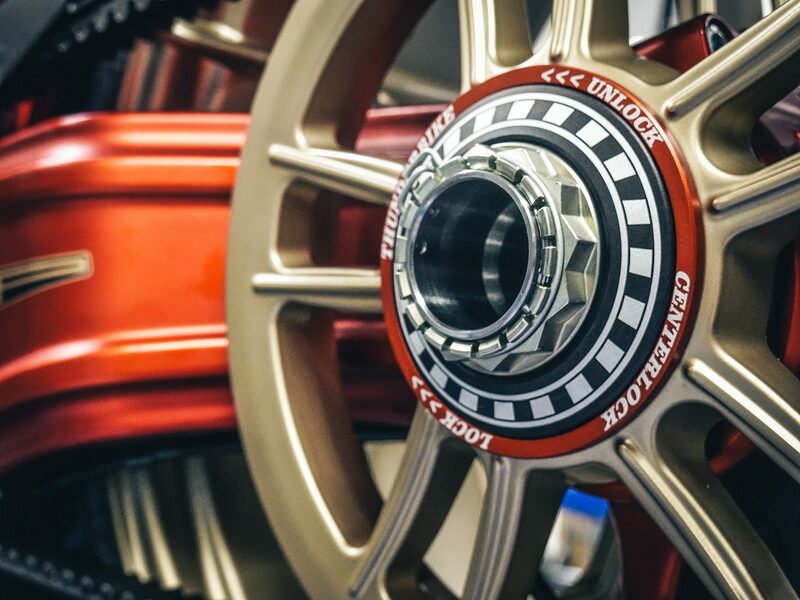 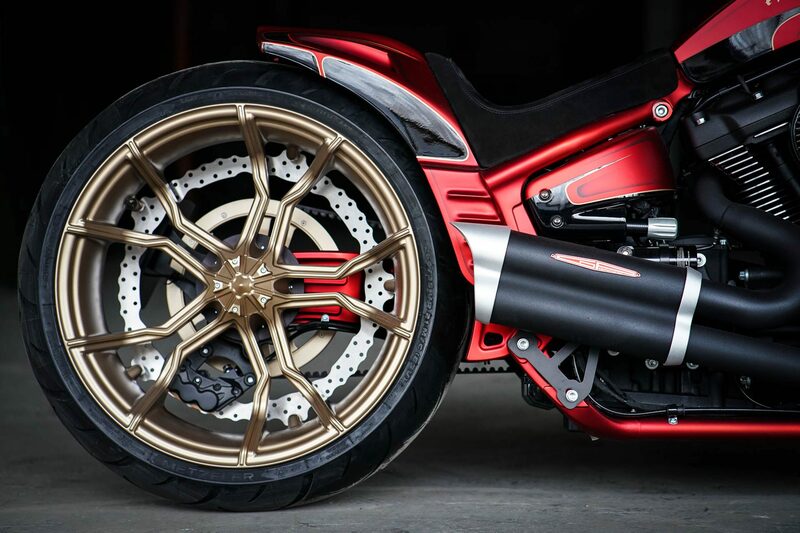 With a 4×23 inch front wheel and a 9×21 inch rear wheel from our Racing series, the Laguna Seca is visually very sporty. 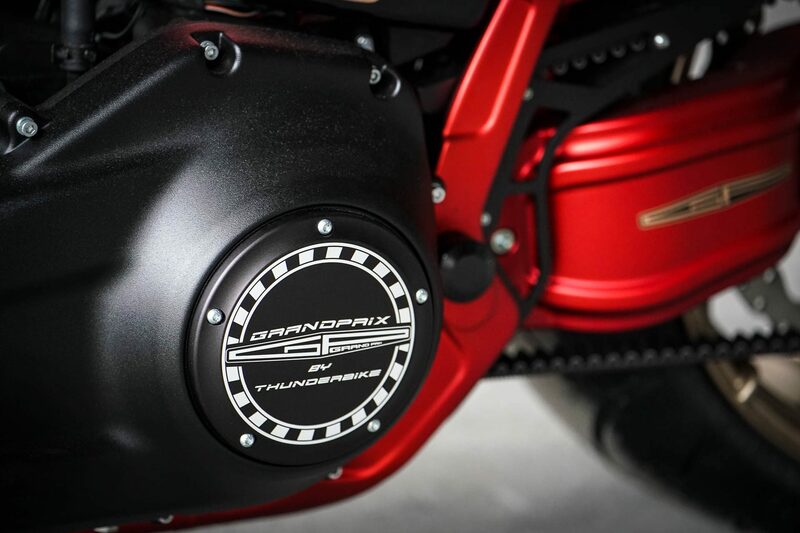 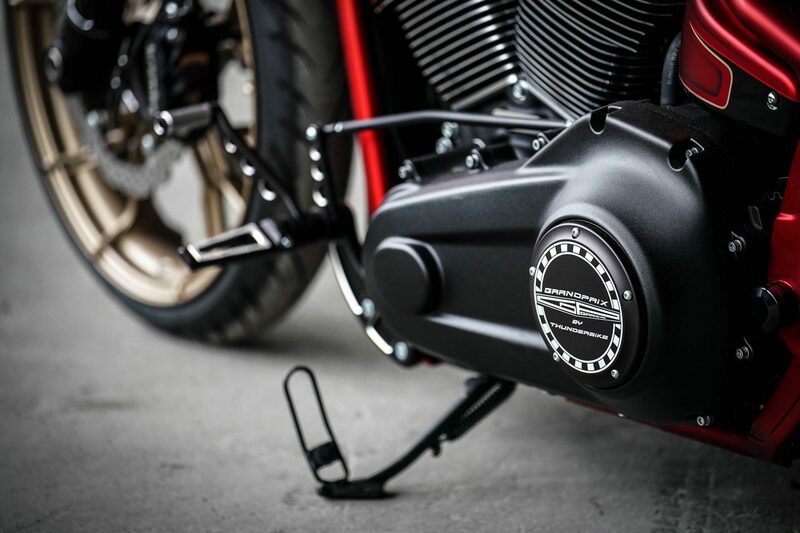 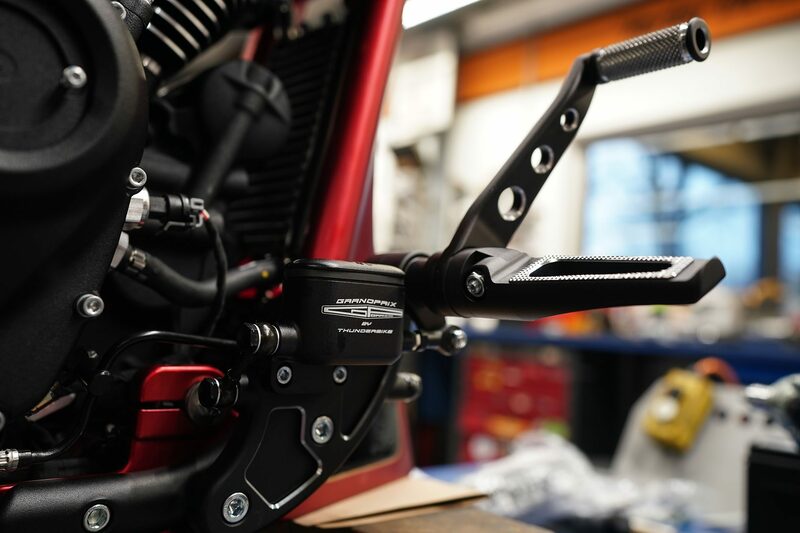 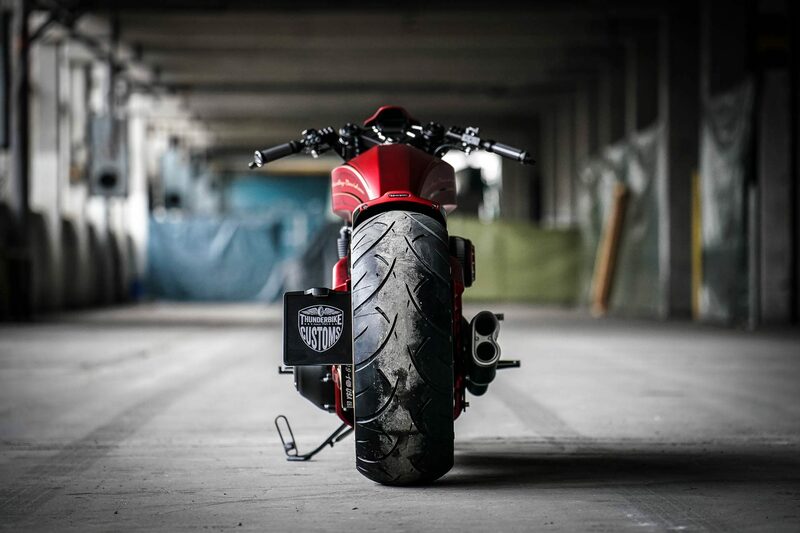 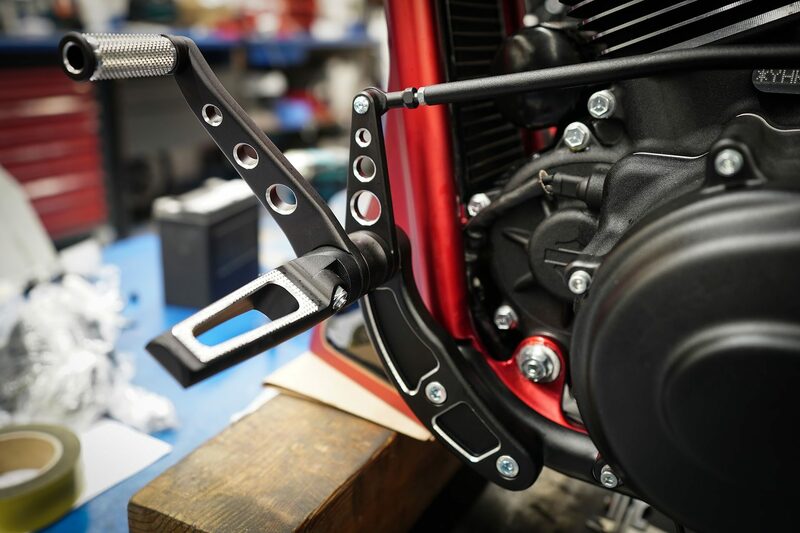 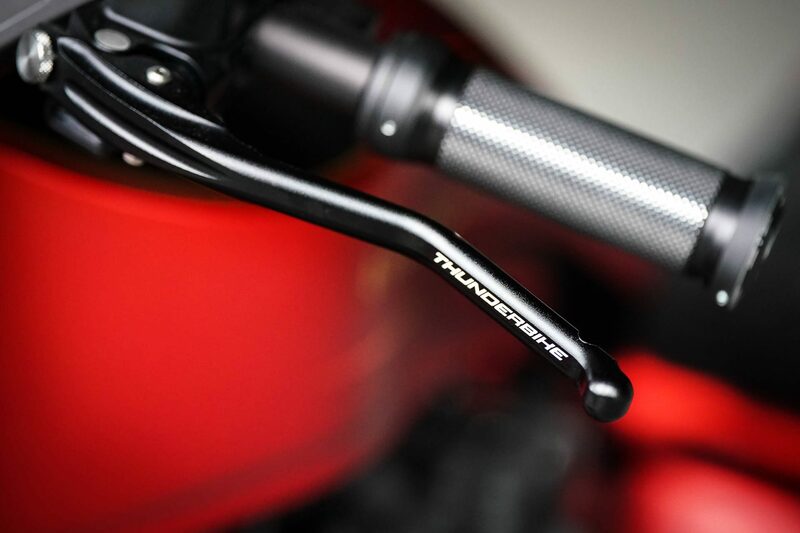 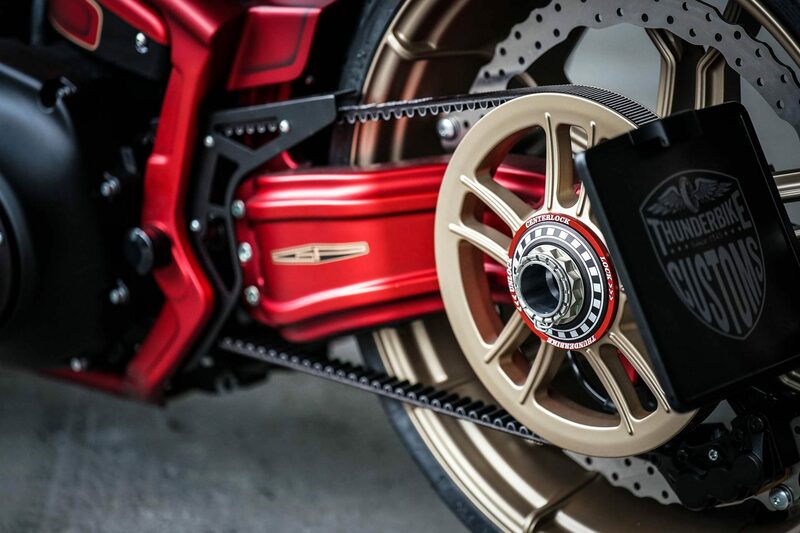 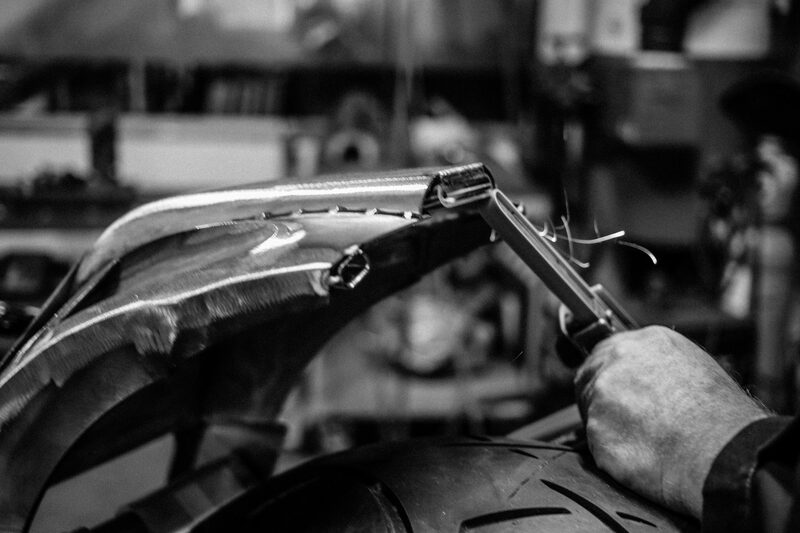 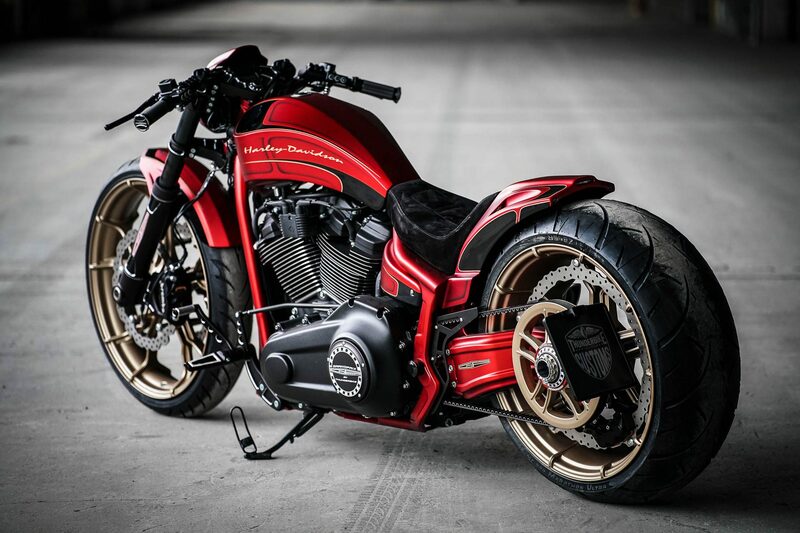 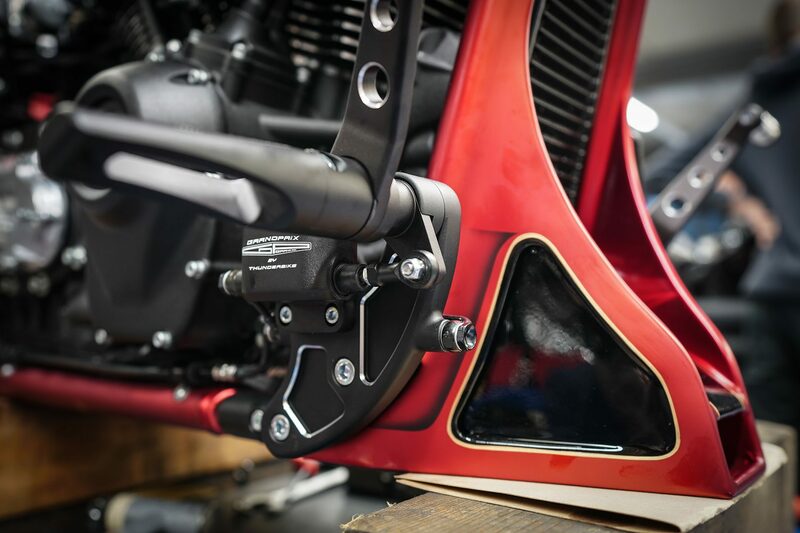 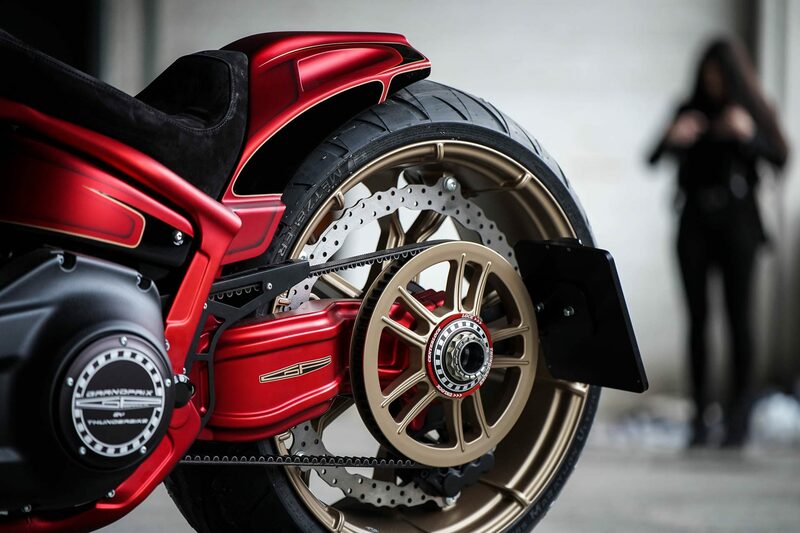 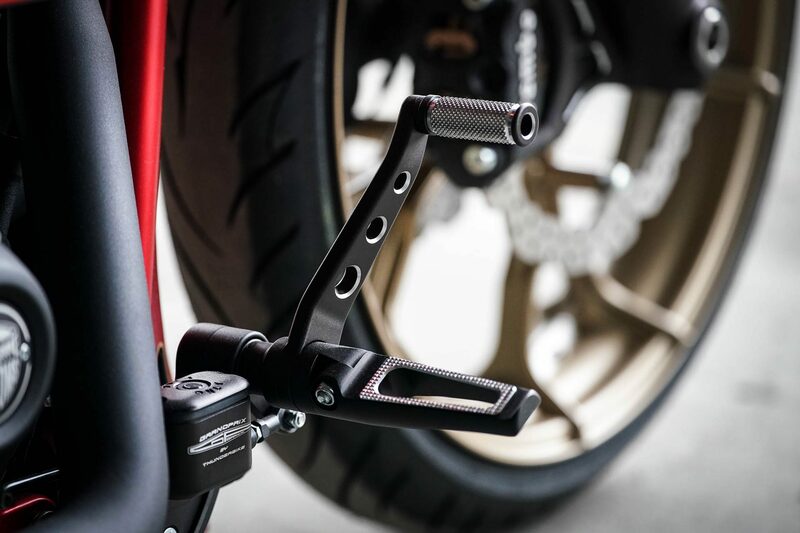 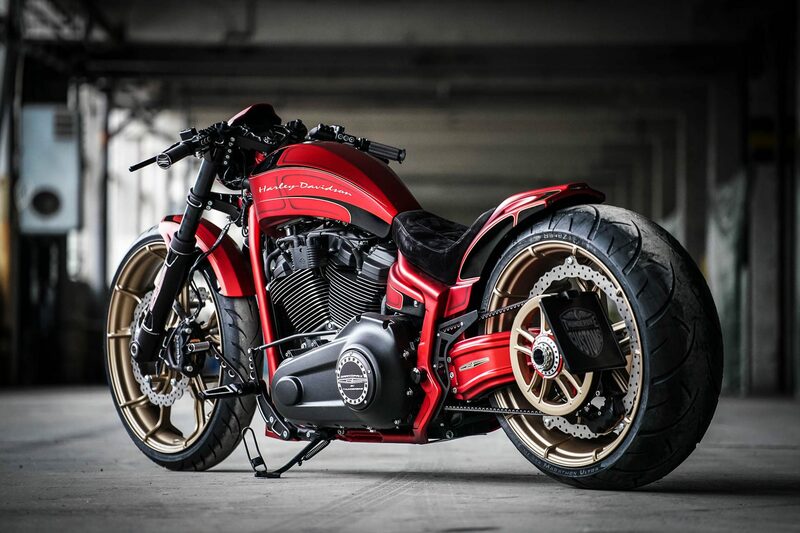 The Thunderbike single-sided swingarm kit with several parts from our Grand Prix series complete the racer. 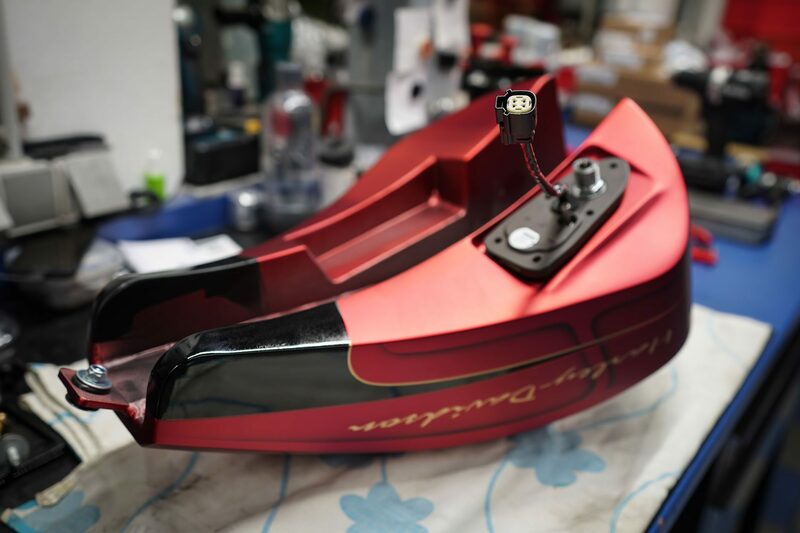 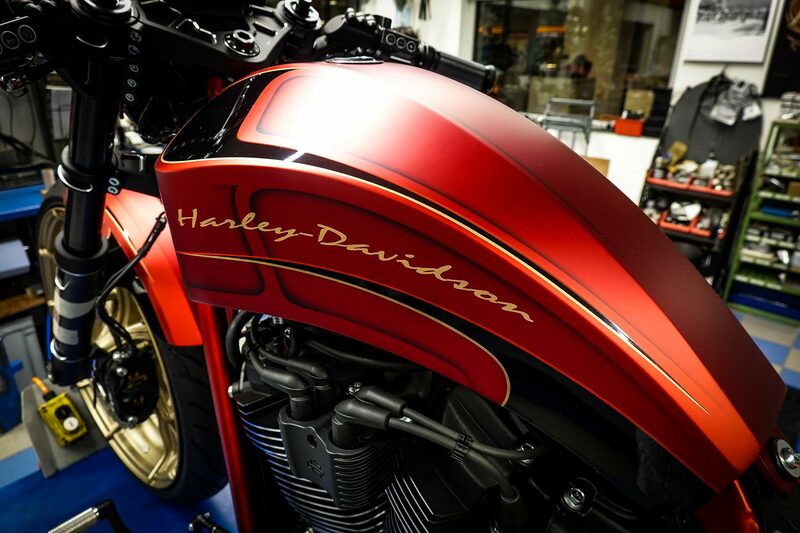 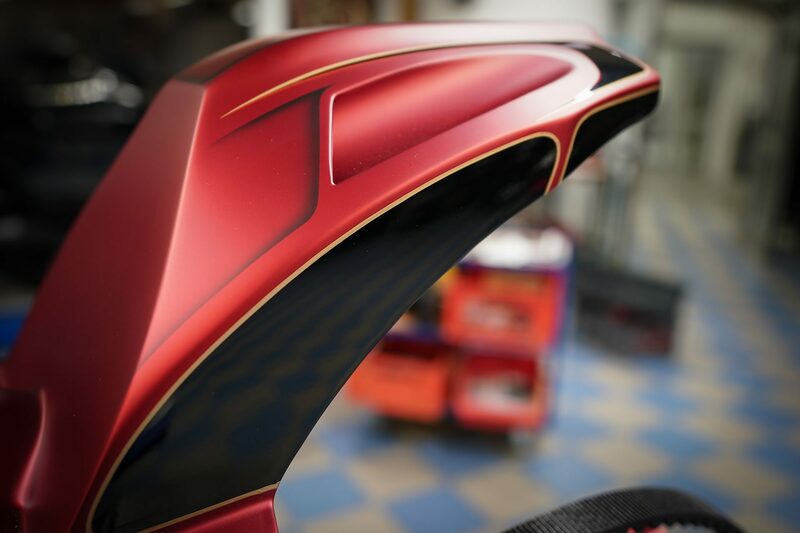 A special highlight is once again the paint, which was made by master painter Ingo Kruse. 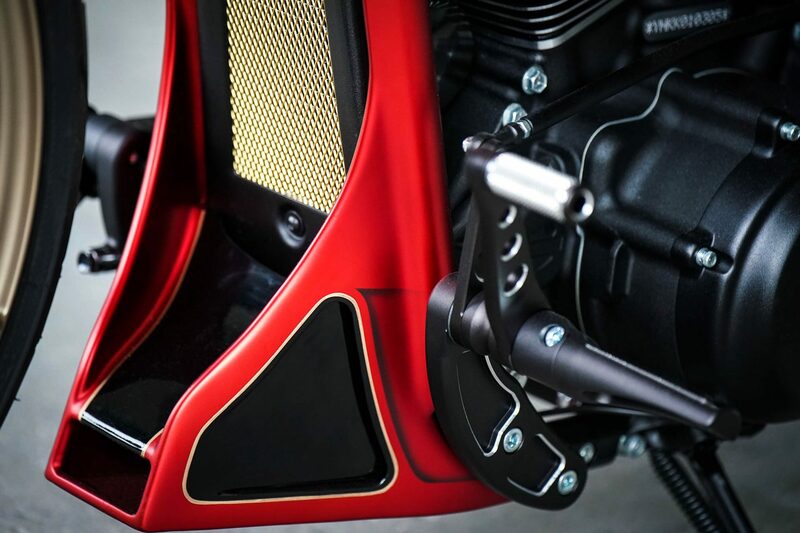 We wish the customer a good trip with his GP Star! 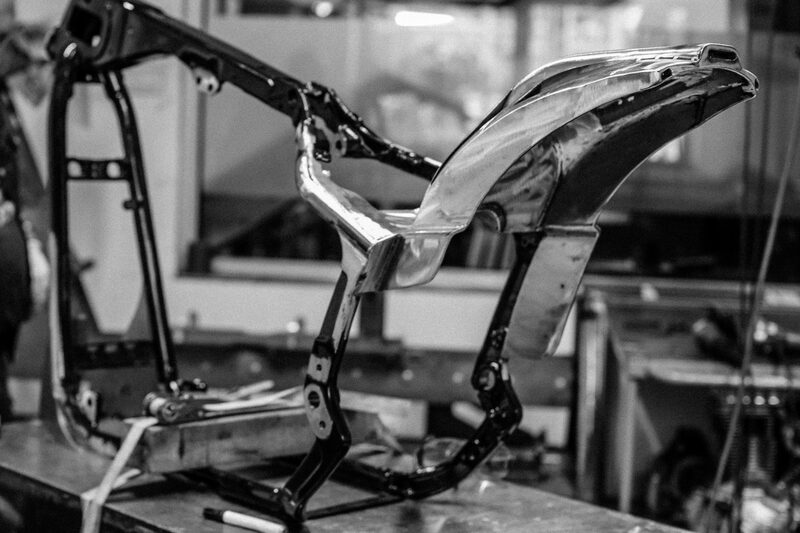 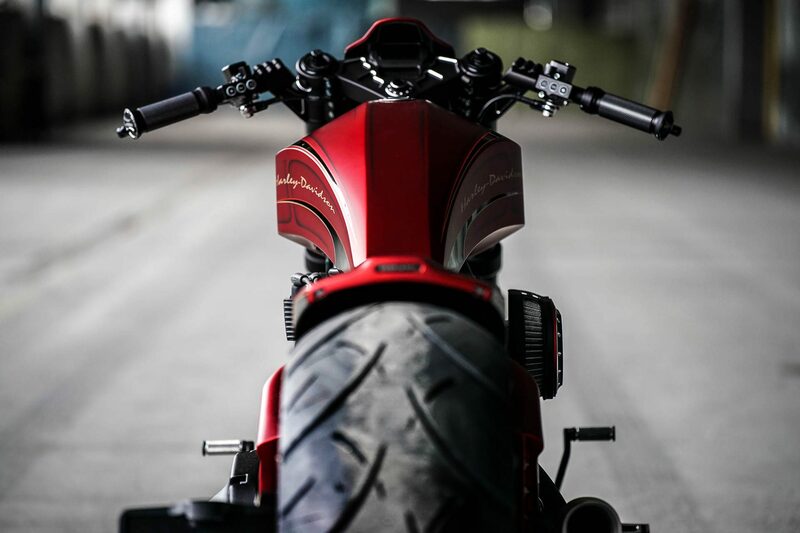 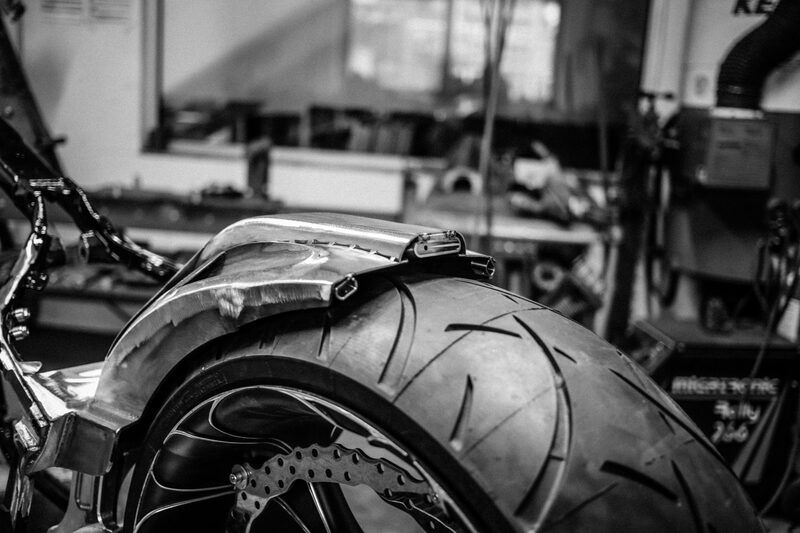 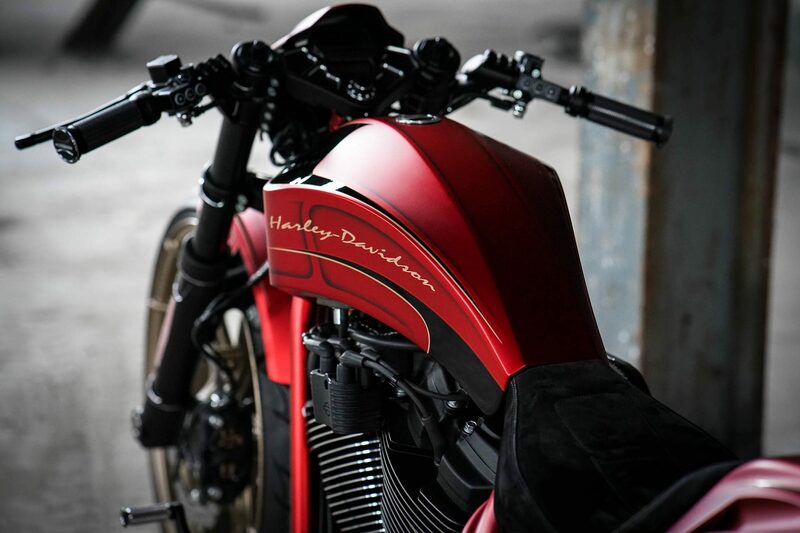 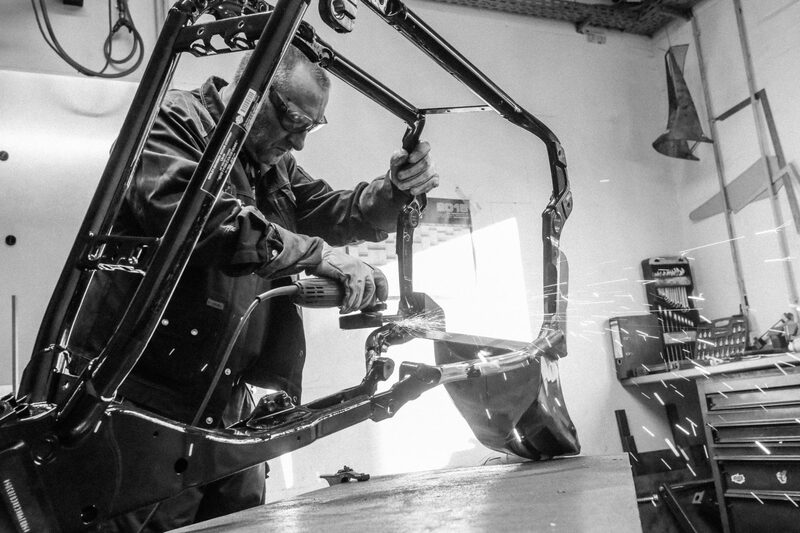 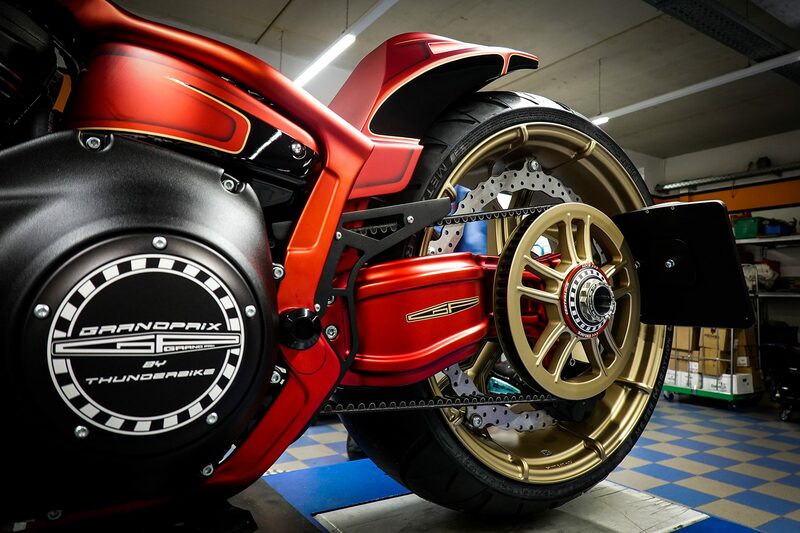 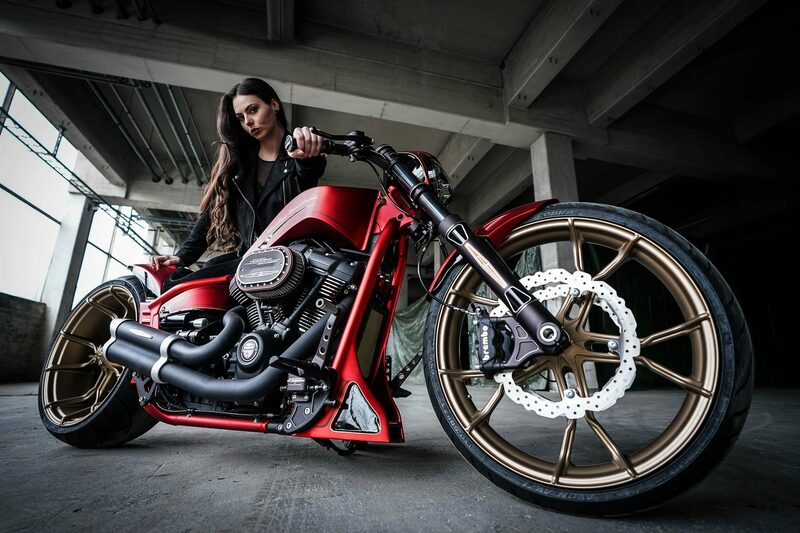 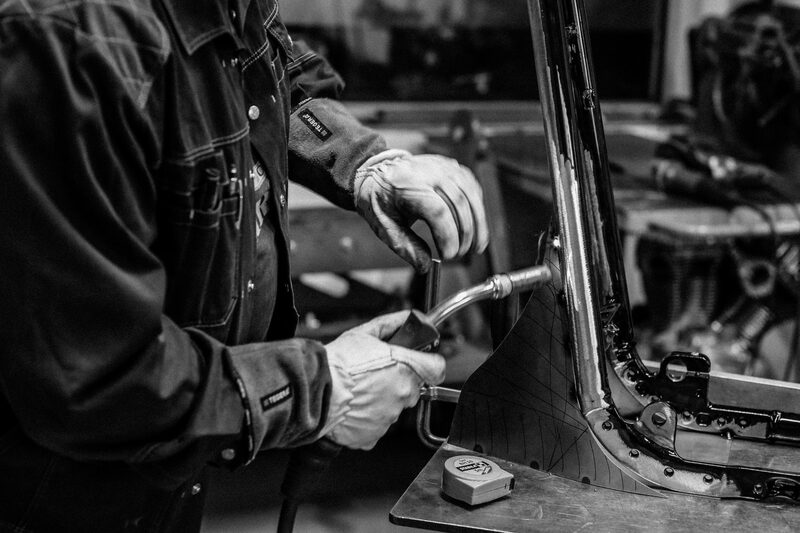 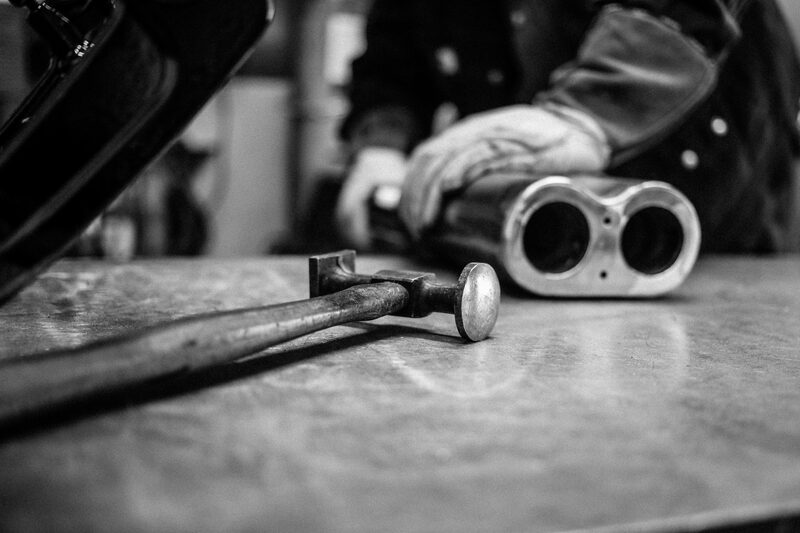 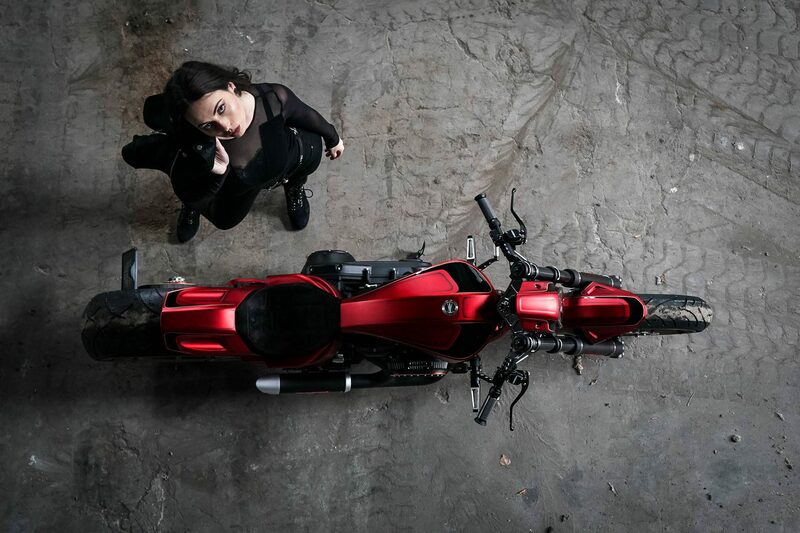 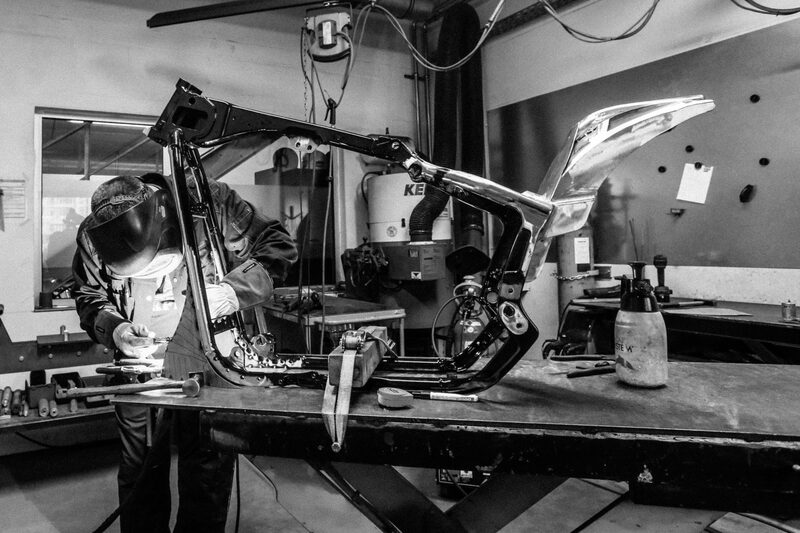 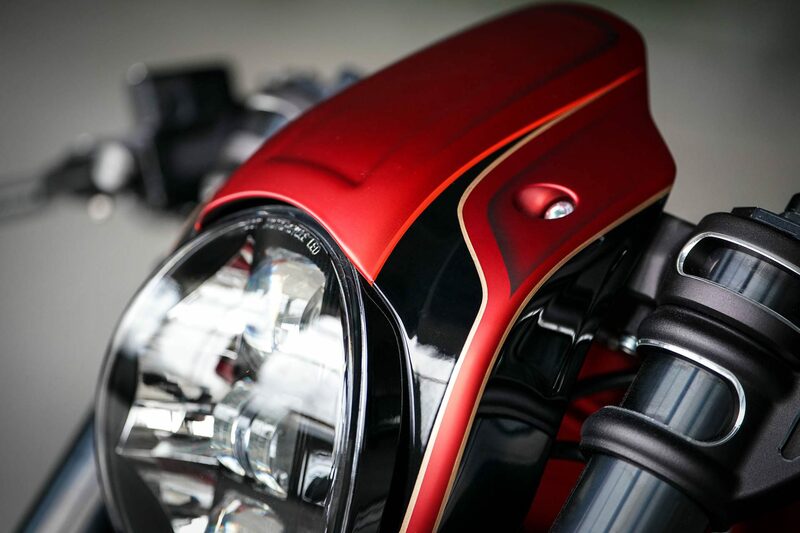 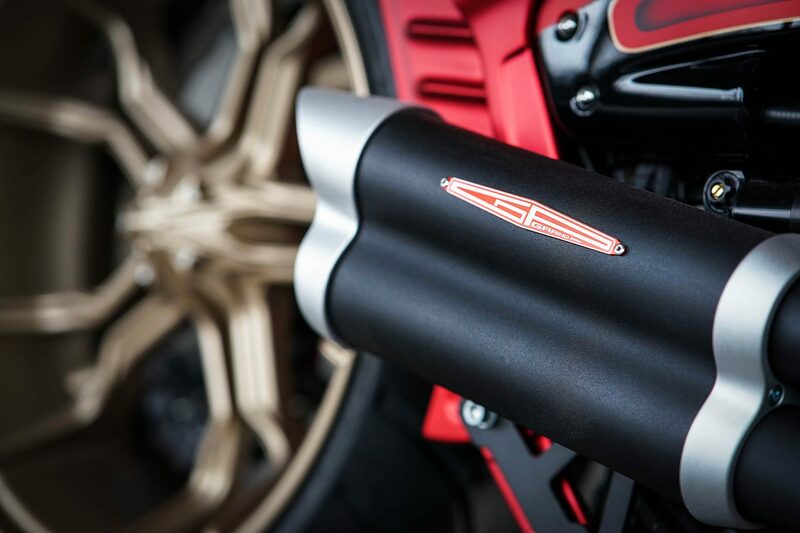 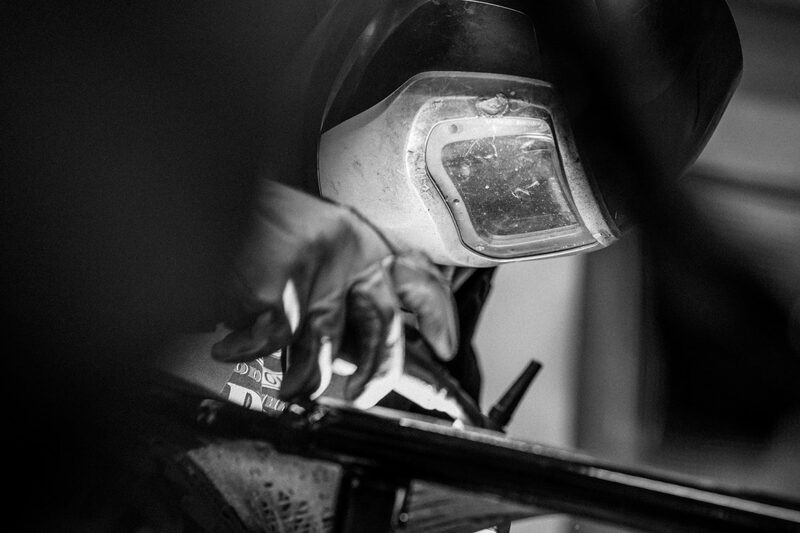 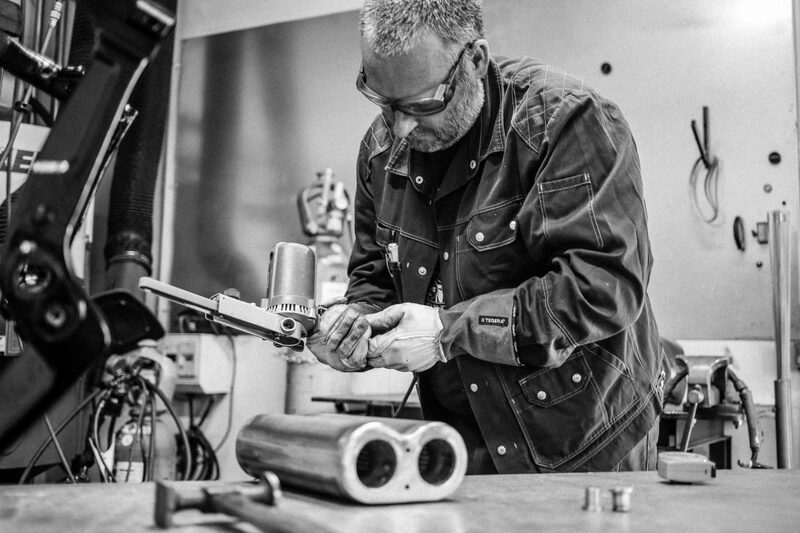 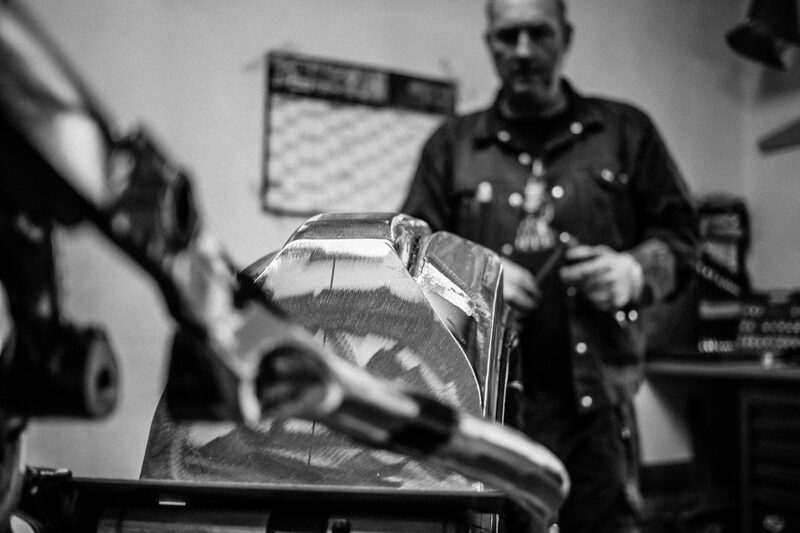 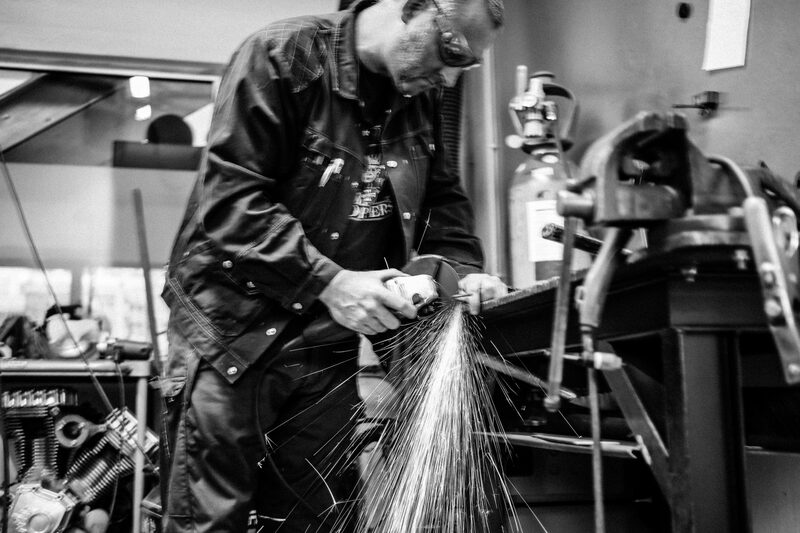 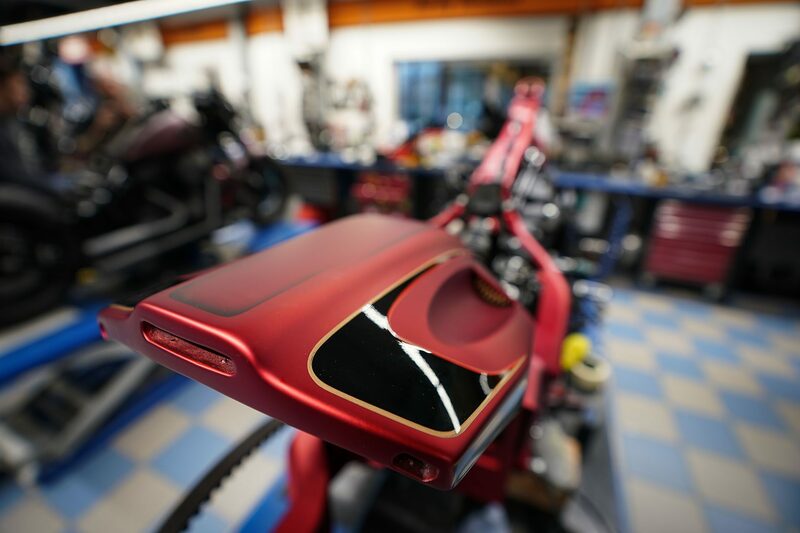 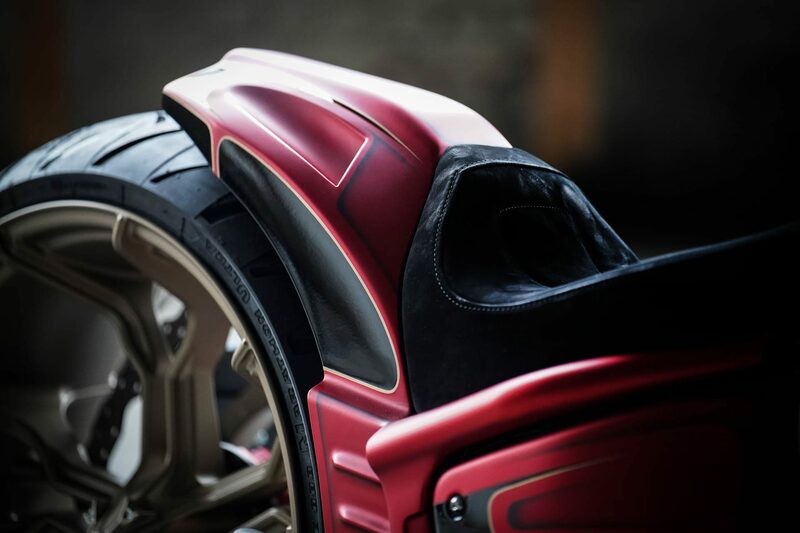 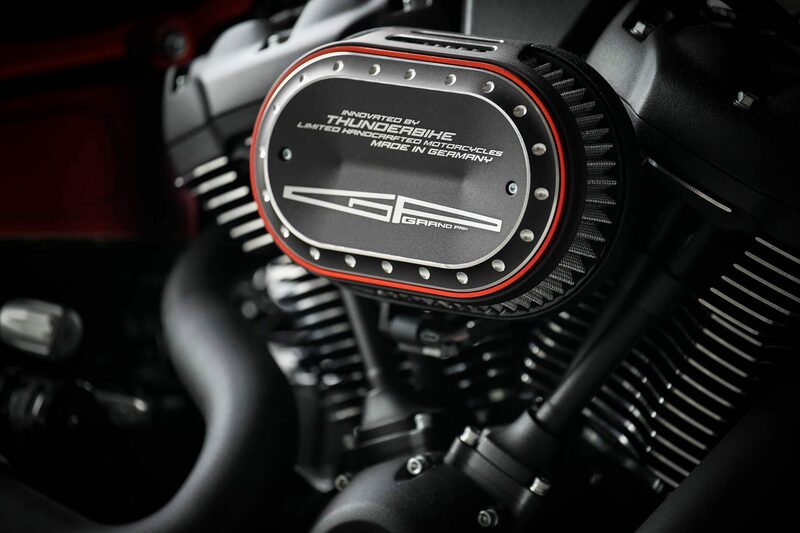 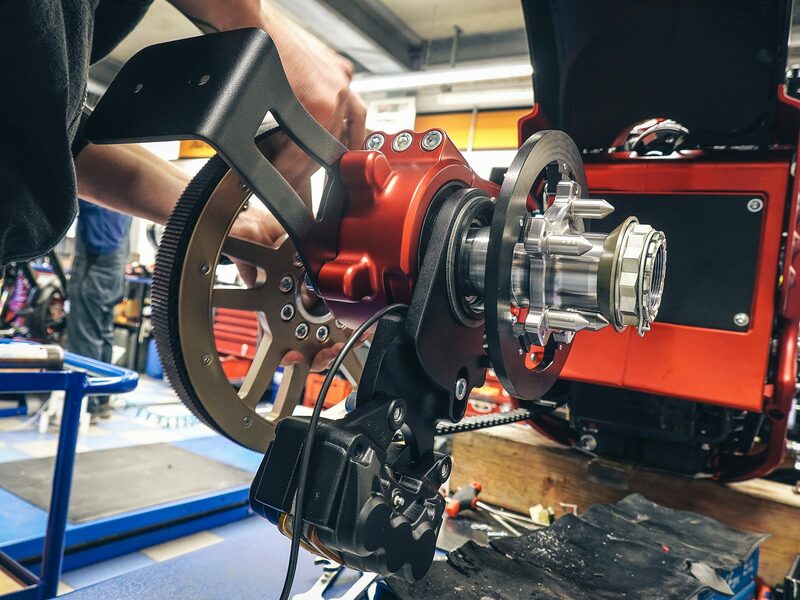 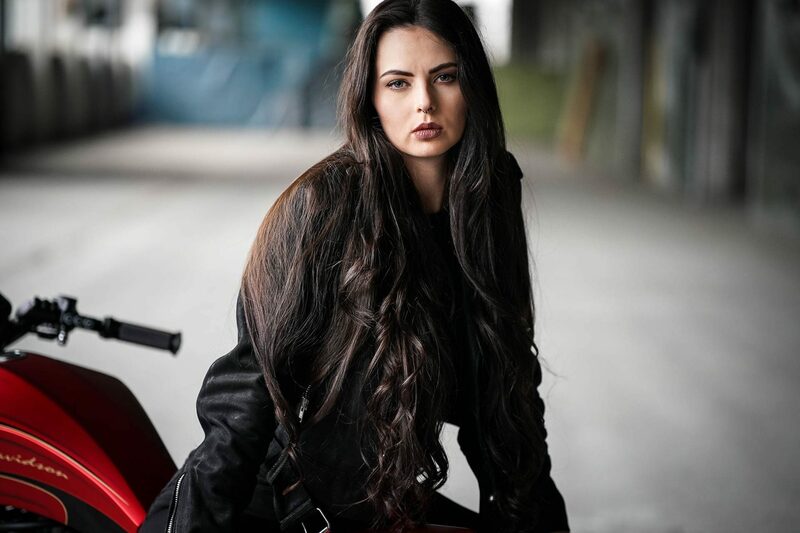 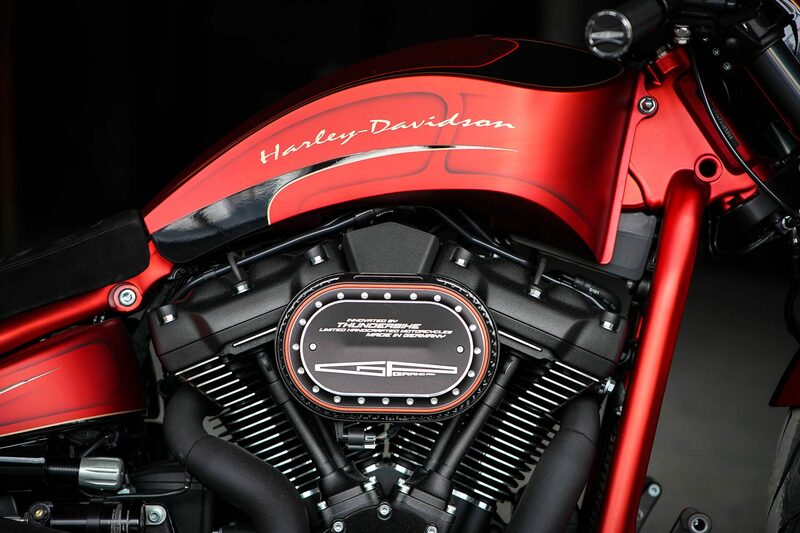 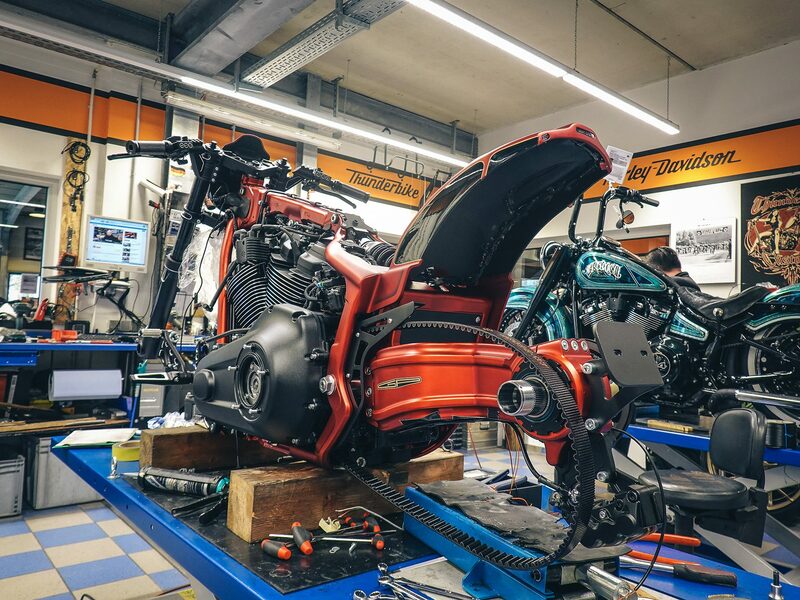 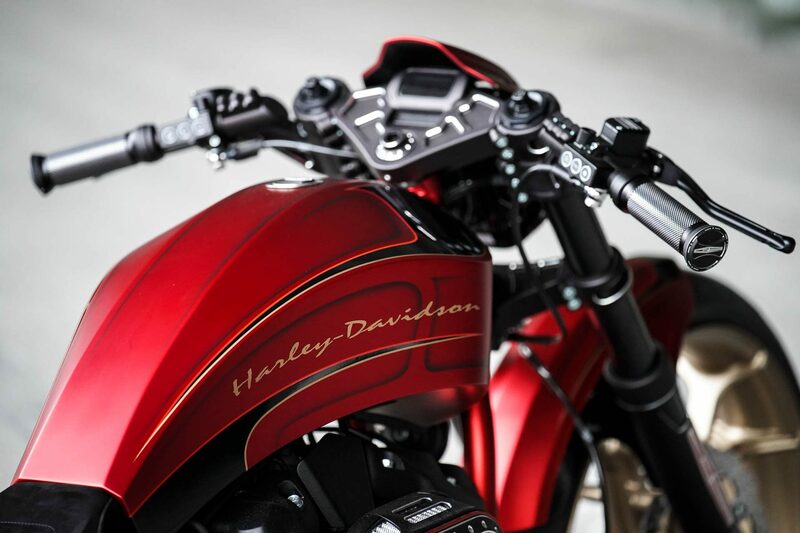 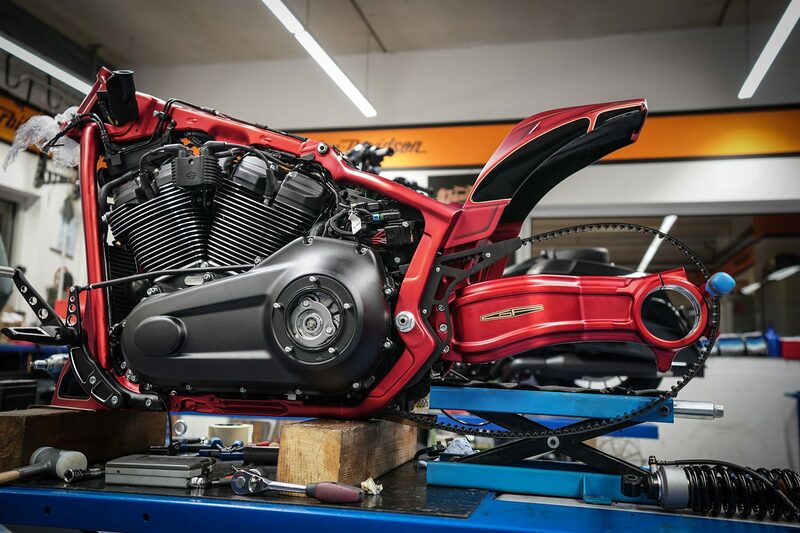 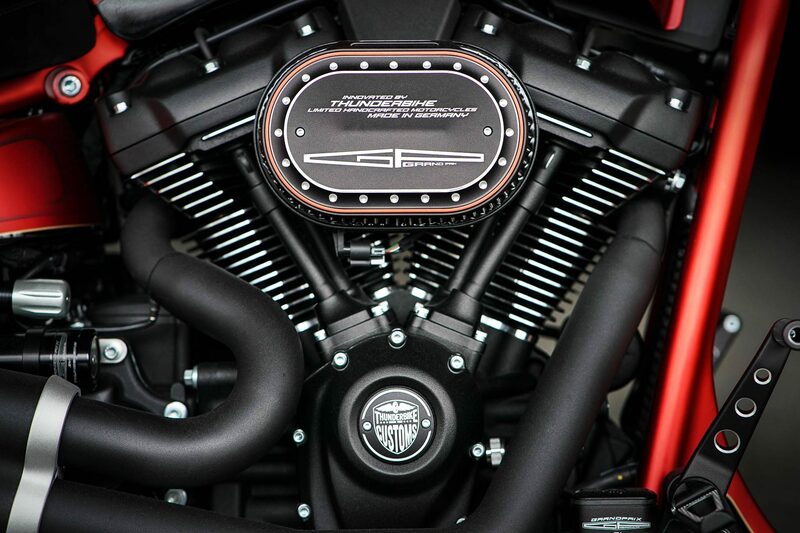 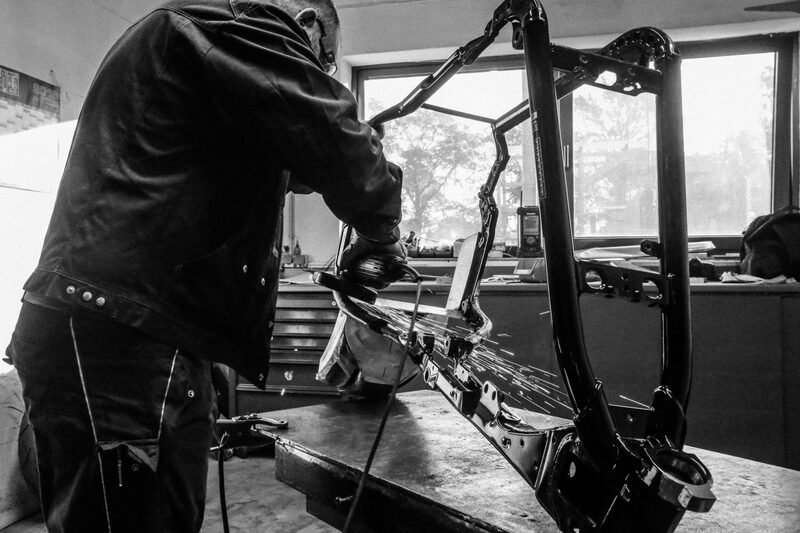 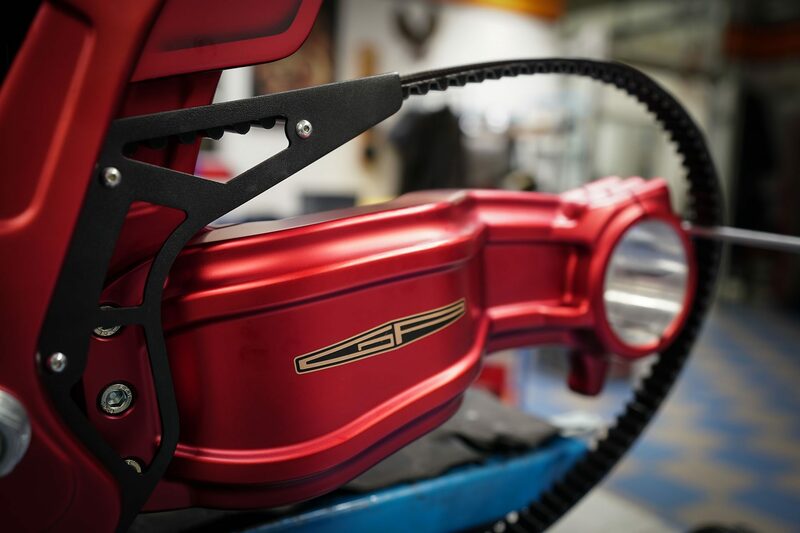 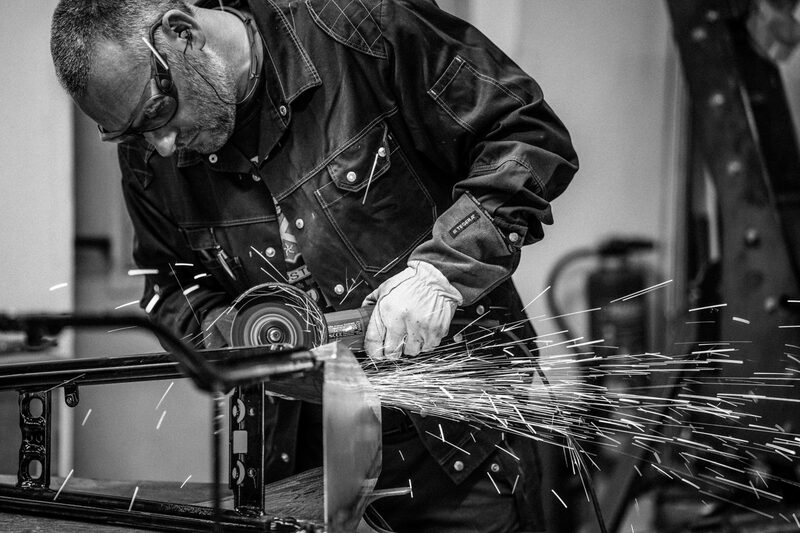 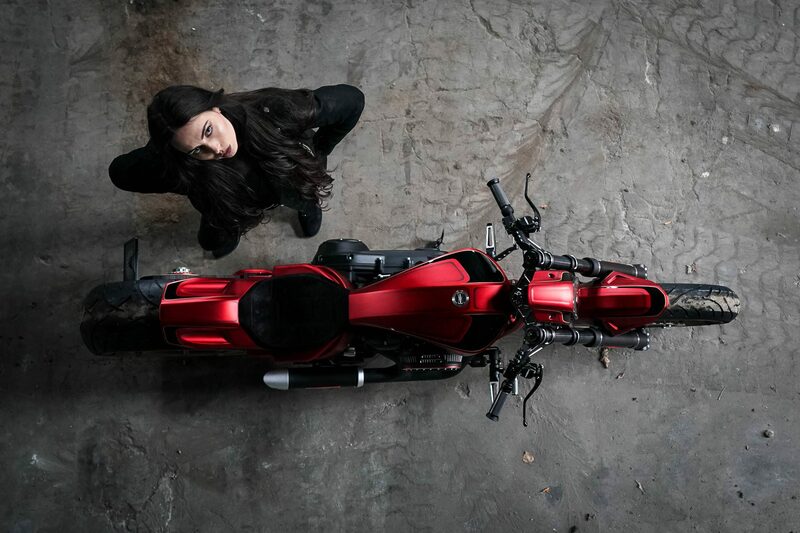 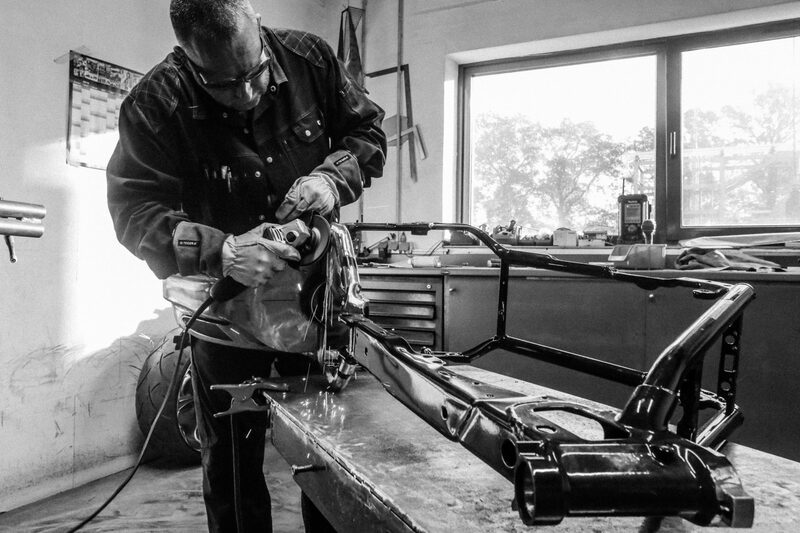 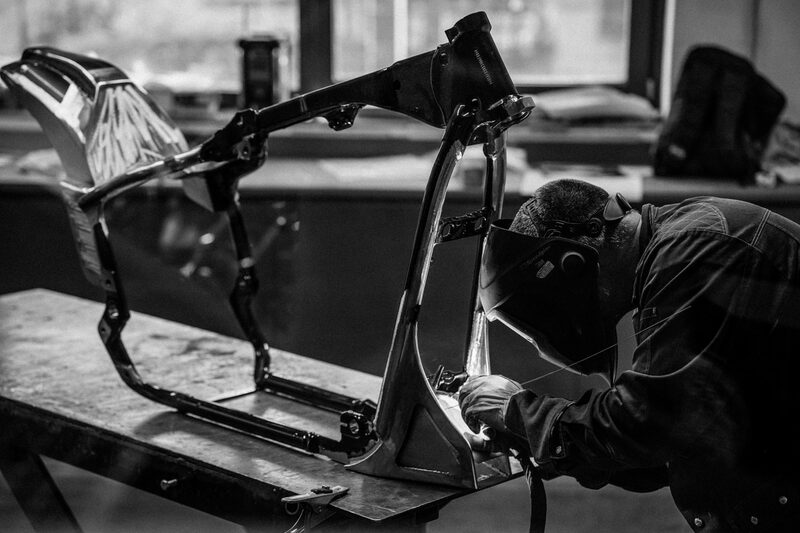 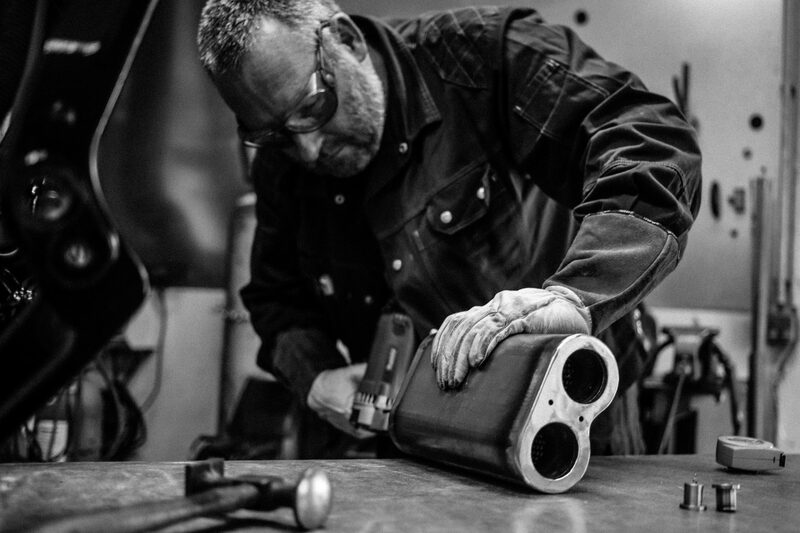 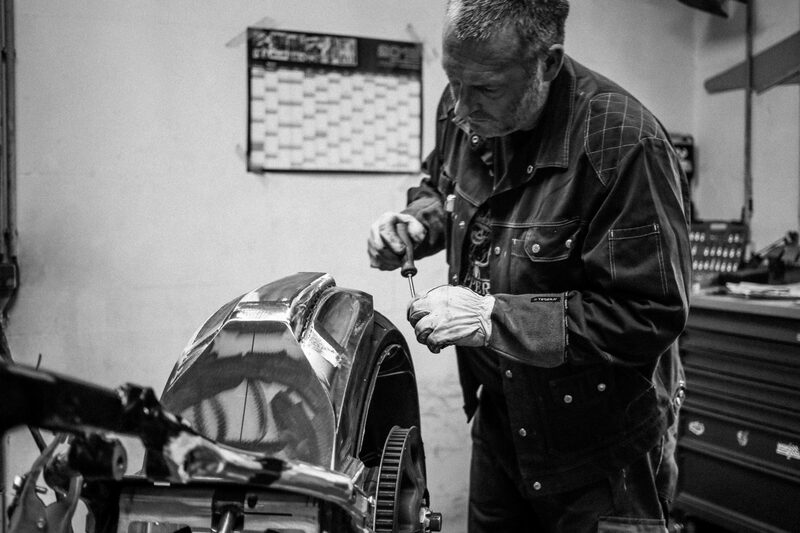 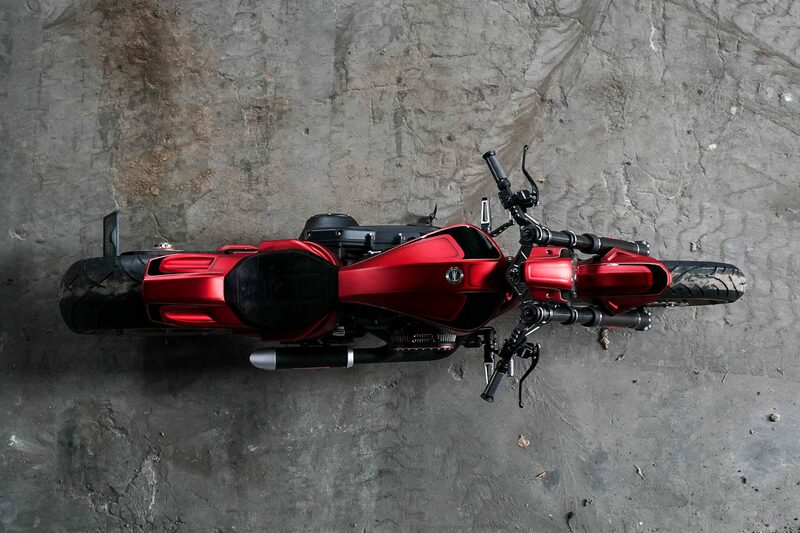 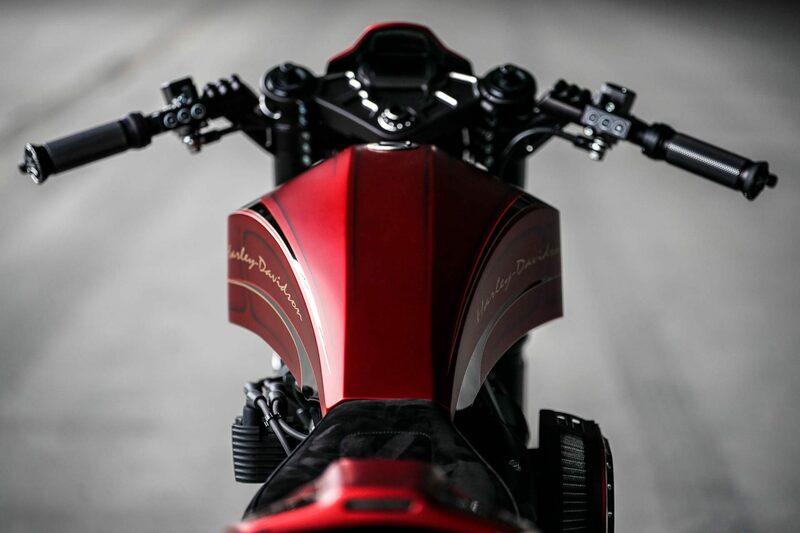 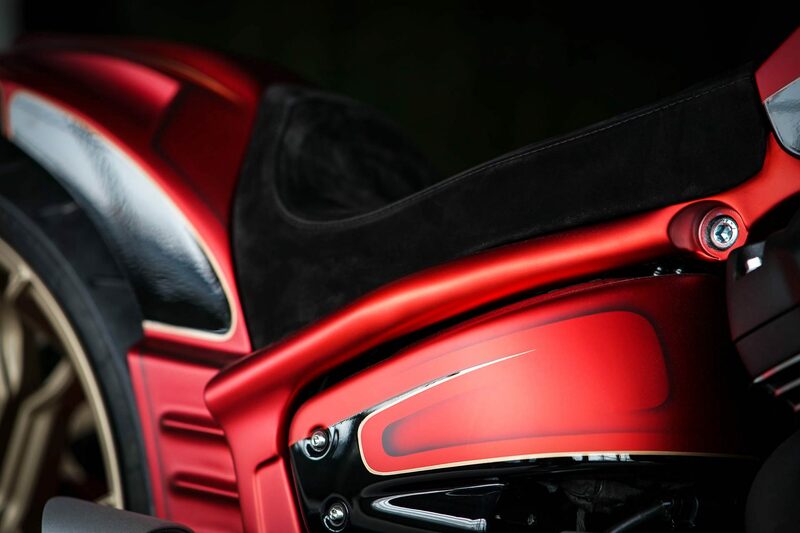 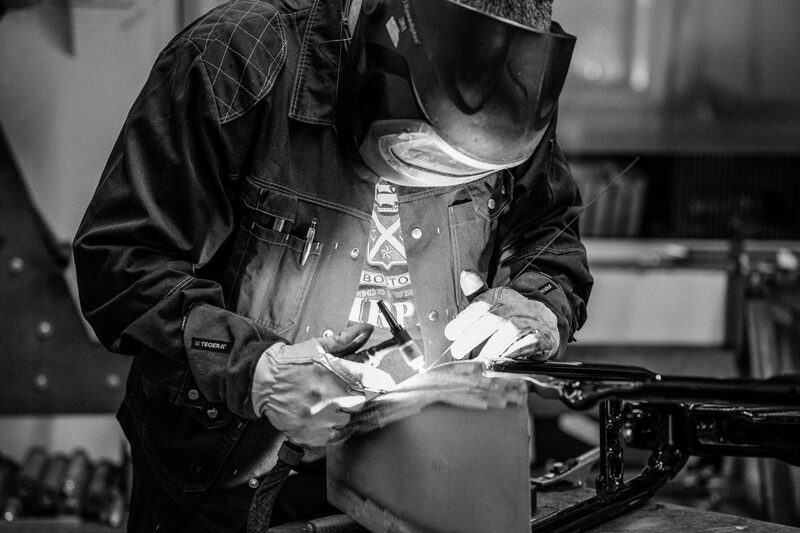 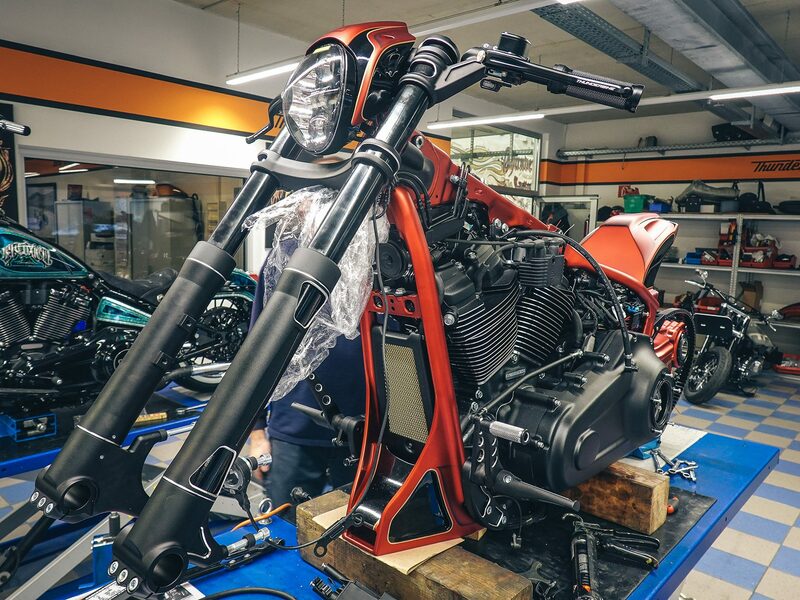 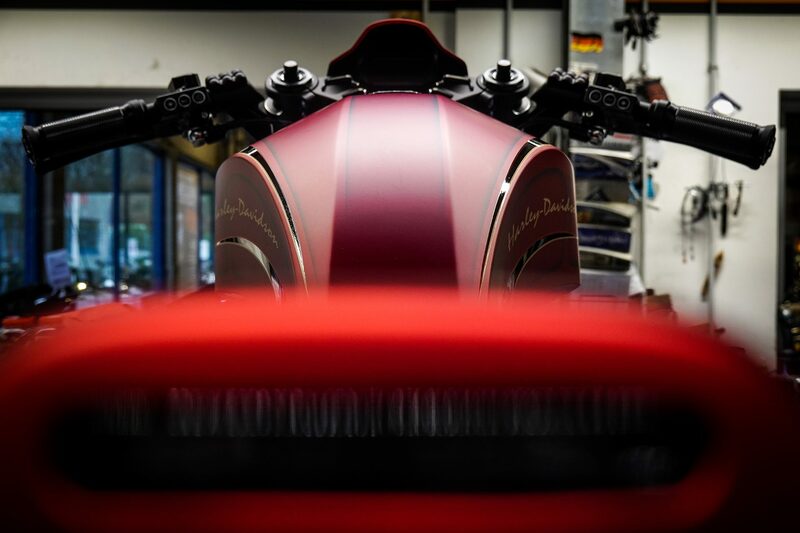 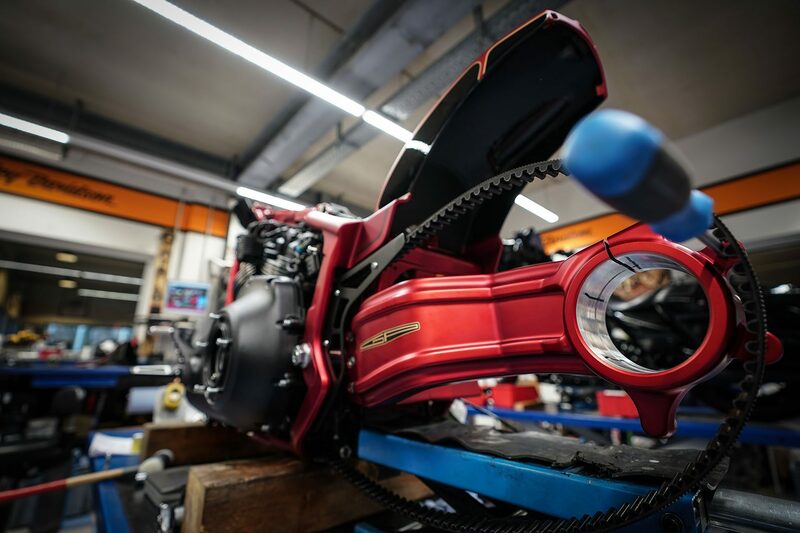 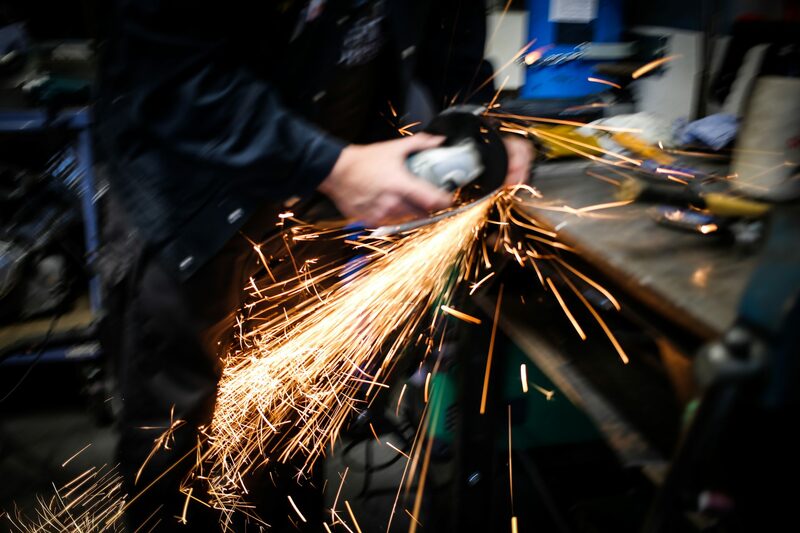 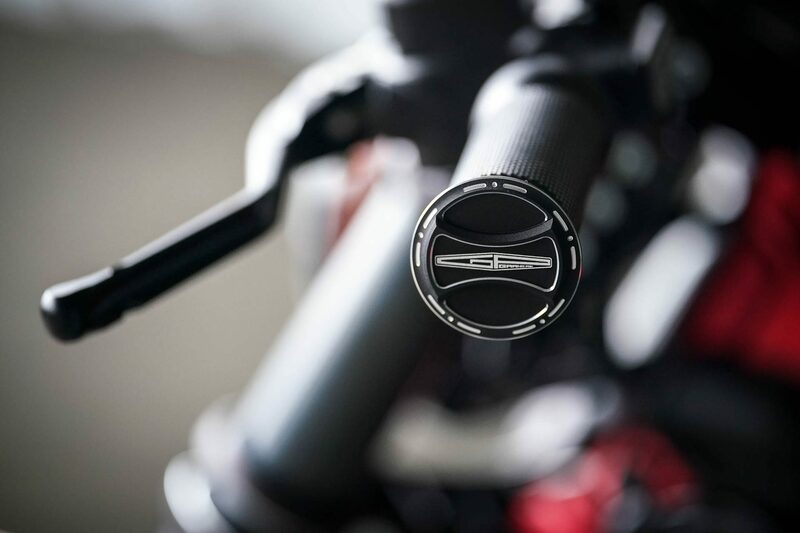 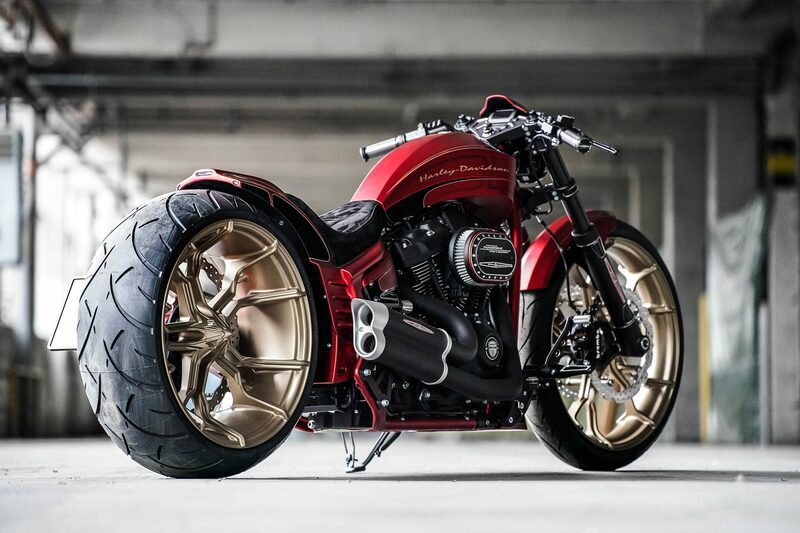 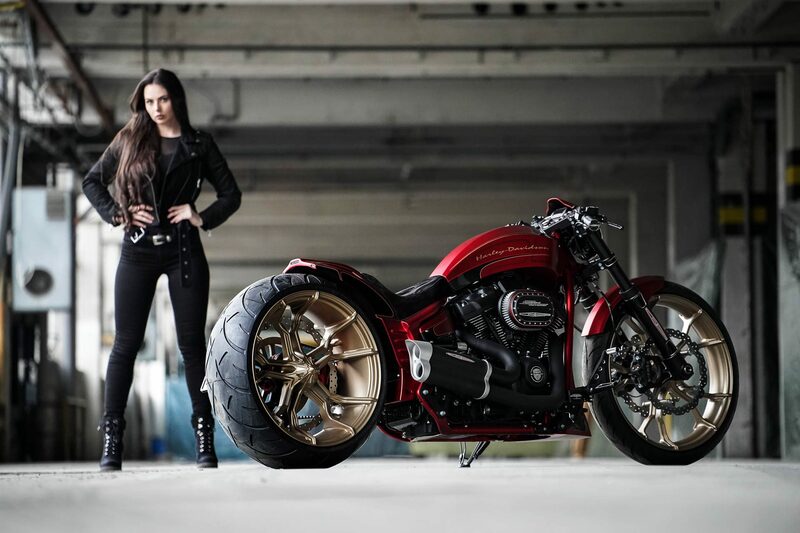 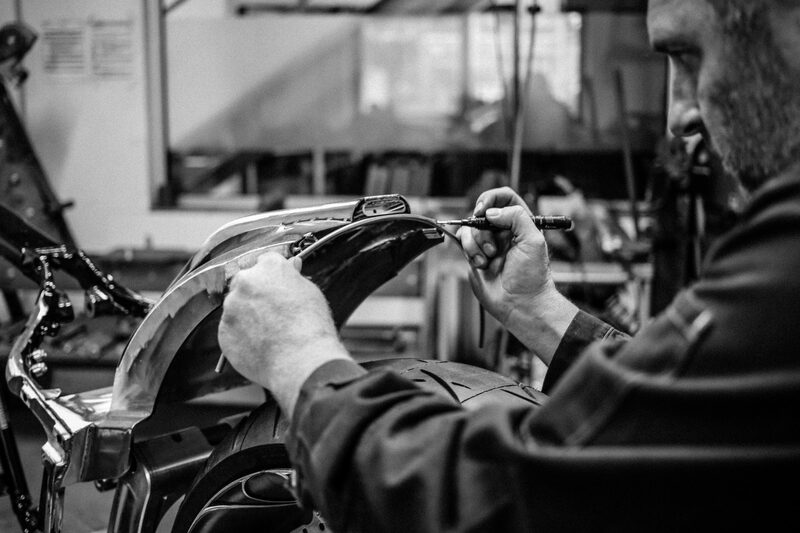 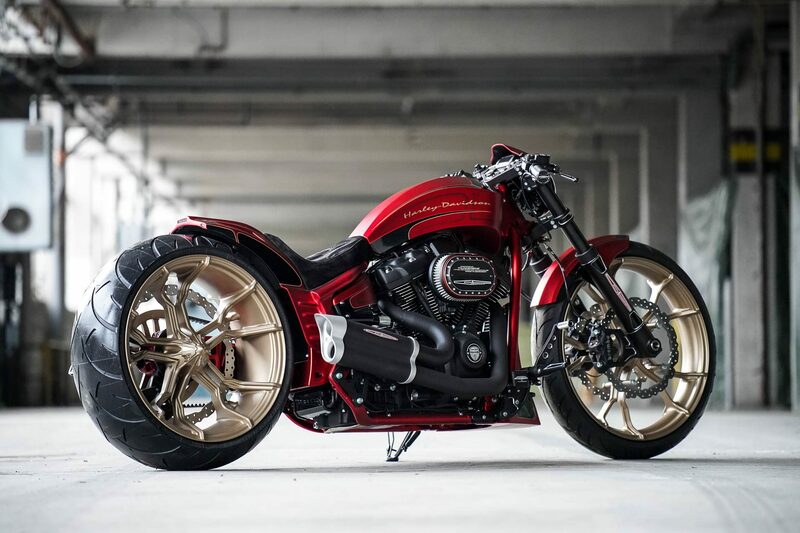 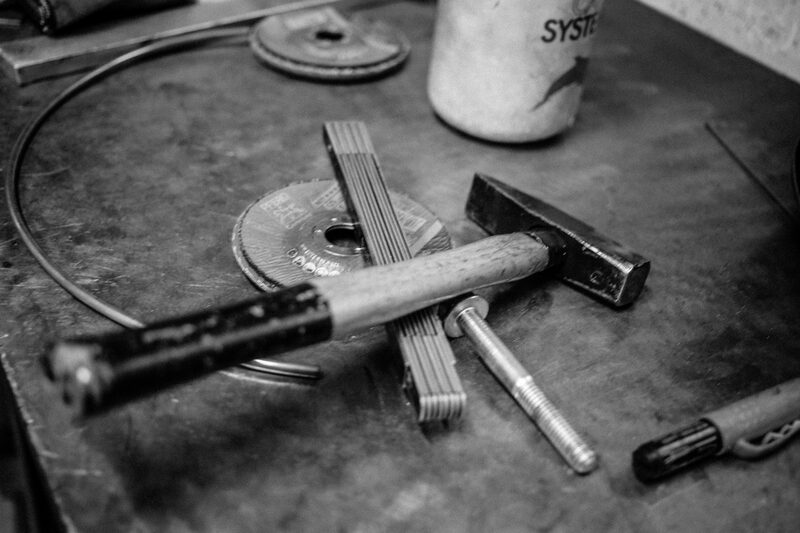 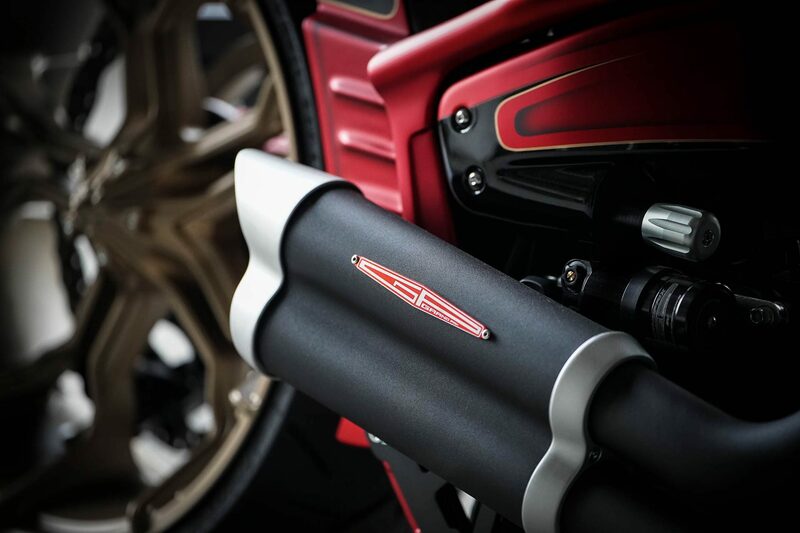 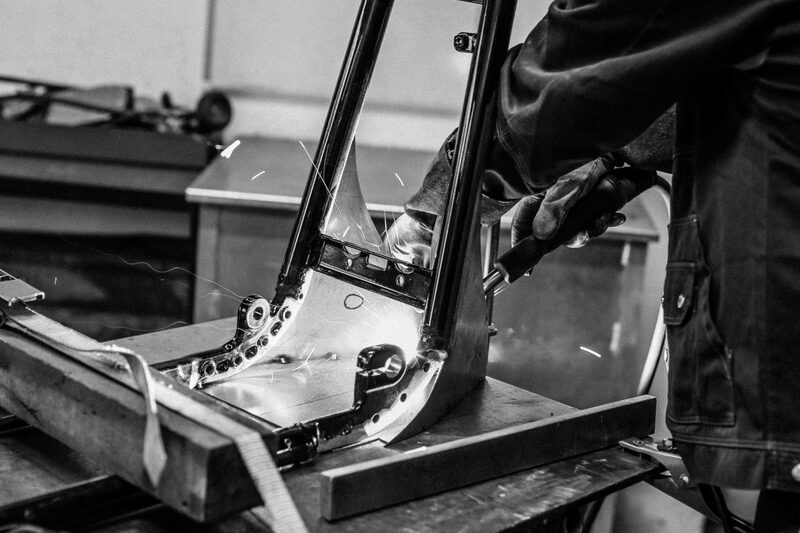 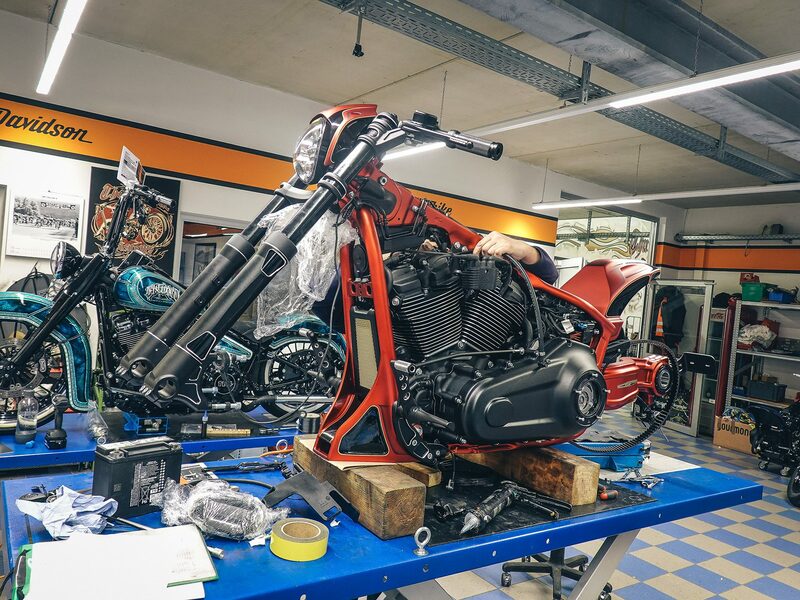 Take a look at the first Making of photos now and look forward to a new super bike!